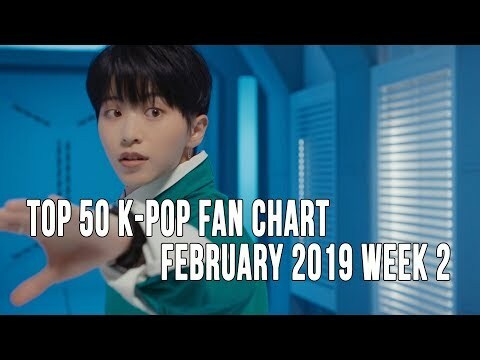 Top 50 K Pop Songs Chart February 2019 Week 1 Fan Chart....! 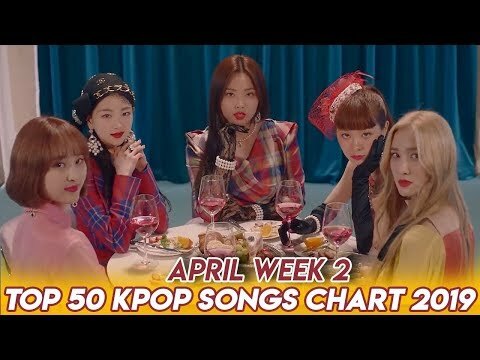 Here are the Top K-Pop Songs for April 2019 Week 1 (Week Ending April 6, 2019) as voted by the fans. 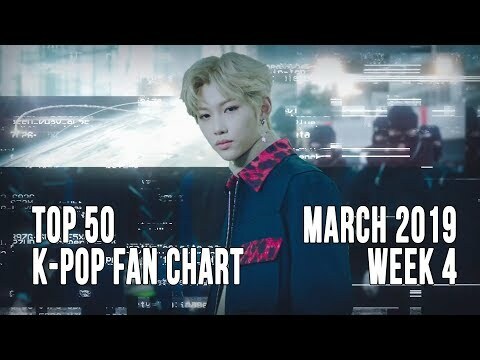 Each week you the viewers get a say in what ranks on this K-Pop Songs Chart. ▶ Please subscribe today so you don't miss any videos featuring the latest and best in K-pop: https://www.youtube.com/subscription_center?add_user=DJDigitalHI ▶ Voting Rules: 1. Your picks don't need to be in any of my videos; it's purely what you like this week 2. You can list oldies, album tracks, whatever...as long as it's K-Pop 3. List them in order of how you like them (either from 1 to 10, or 10 to 1, else I'll assume it's 1 to 10); You can list up to a Top 50 if you want. 4. List the artist and title (i.e. 1. BTS - IDOL) 5. You only can list the song once per listing you submit. 6. List your top picks for this week in the comments 7. Submit your vote on my website at http://www.djdigital.info/vote_kpop 8. Email your list to [email protected] 9. I reserve the right to exclude listings considered spam. 10. Songs with more than 12 weeks are retired from the chart. ▶ Song Index: 100% (백퍼센트) - Still Loving You ASTRO (아스트로) - All Night (전화해) ATEEZ (에이티즈) - Say My Name Baek Yerin (백예린) - Maybe It's Not Our Fault (그건 아마 우리의 잘못은 아닐 거야) BLACKPINK (블랙핑크) - Don't Know What To Do BLACKPINK (블랙핑크) - Kill This Love Chen (첸) - Beautiful Goodbye (사월이 지나면 우리 헤어져요) Cherry Bullet (체리블렛) - Q&A CLC (씨엘씨) - No DIA (다이아) - WOOWA (우와) Jason Derulo, Lay & NCT 127 - Let's Shut Up & Dance Dreamcatcher (드림캐쳐) - PIRI (피리) EVERGLOW (에버글로우) - Bon Bon Chocolat (봉봉쇼콜라) FAVORITE (페이버릿) - LOCA (G)I-DLE ((여자)아이들) - Senorita GFRIEND (여자친구) - Sunrise (해야) GWSN (공원소녀) - Pinky Star (RUN) Heize (헤이즈) - She's Fine Hwa Sa (화사) - TWIT (멍청이) ITZY (있지) - DALLA DALLA (달라달라) IZ*ONE (아이즈원) - Violeta (비올레타) JBJ95 - Awake Jeong Sewoon Feat. Penomeco (정세운) - Feeling JUS2 (저스투) - Focus On Me KARD (카드) - Bomb Bomb (밤밤) Key Feat. Soyeon (키, 소연) - I Wanna Be LOONA (이달의 소녀) - Butterfly MAMAMOO (마마무) - gogobebe (고고베베) MOMOLAND (모모랜드) - I'm So Hot MONSTA X (몬스타엑스) - Alligator NeonPunch (네온펀치) - Tic Toc ONEUS (원어스) - Valkyrie (발키리) ONF (온앤오프) - We Must Love (사랑하게 될 거야) Park Bom Feat. Sandara Park (박봄, 산다라박) - Spring (봄) PENTAGON (펜타곤) - Sha La La (신토불이) PRODUCE X 101 - X1-MA (_지마) S.I.S (에스아이에스) - Always Be Your Girl (너의 소녀가 되어줄게) SEVENTEEN (세븐틴) - Home SF9 (에스에프나인) - Enough (예뻐지지 마) Stray Kids (스트레이 키즈) - MIROH SUNMI (선미) - Noir (누아르) Taemin (태민) - Want Taeyeon (태연) - Four Seasons (사계) TREI (트레이) - Gravity (멀어져) TXT [Tomorrow X Together] (투모로우바이투게더) - Crown (어느날 머리에서 뿔이 자랐다) Tiffany Young - Lips on Lips VAV (브이에이브이) - Thrilla Killa VERIVERY (베리베리) - Ring Ring Ring (불러줘) Wanna.B (워너비) - Leggo Z-GIRLS - What You Waiting For ▶ Goodbye Stage: Apink (에이핑크) - %% (Eung Eung) (응응) M.FECT (엠펙트) - Designer (디자이너) NATURE (네이처) - Dream About U (꿈꿨어) SHAUN (숀) - Bad Habits (습관) TST (일급비밀) - Wake Up WJSN [Cosmic Girls] (우주소녀) - La La Love (라 라 러브) ▶ Bubbling Under: Returns Next Week! ▶ Follow Me! Website: http://www.djdigital.info YouTube: https://www.youtube.com/DJDigitalHI Facebook: https://www.facebook.com/DJDigitalKPopCharts Google+: https://plus.google.com/+DJDigitalHI Twitter: https://twitter.com/djdigitalhi Tumblr: https://djdigitalhi.tumblr.com VK: http://vk.com/djdigitalkpop Internet Radio: https://goo.gl/2Vt3mE ▶ Outro Song: Song: Elektronomia - Limitless [NCS Release] Music provided by NoCopyrightSounds. Video: https://youtu.be/cNcy3J4x62M All videos/audio clips property of the respective record label, distribution company, writers, publishers and content owners. Support the artists and buy their stuff at your favorite music shop/online store! Don't forget to give this video a thumbs up, comment and subscribe if you like these! I appreciate all feedback! 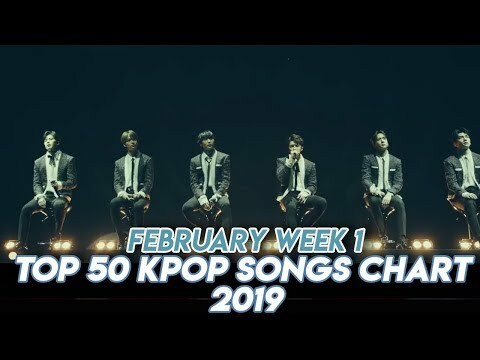 Here are the Top K-Pop Songs for February 2019 Week 1 (Week Ending February 9, 2019) as voted by the fans. 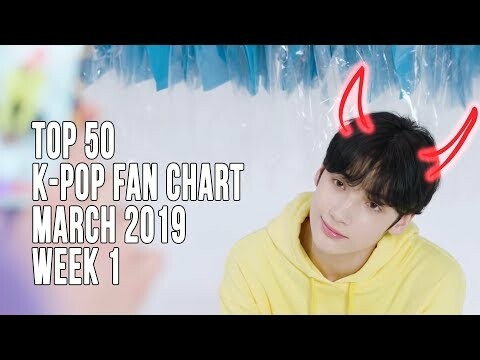 Each week you the viewers get a say in what ranks on this K-Pop Songs Chart. 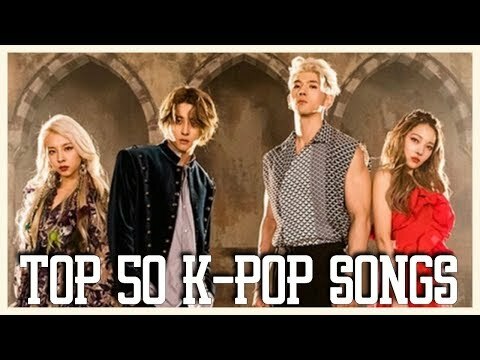 ▶ Please subscribe today so you don't miss any videos featuring the latest and best in K-pop: https://www.youtube.com/subscription_center?add_user=DJDigitalHI ▶ Voting Rules: 1. Your picks don't need to be in any of my videos; it's purely what you like this week 2. You can list oldies, album tracks, whatever...as long as it's K-Pop 3. List them in order of how you like them (either from 1 to 10, or 10 to 1, else I'll assume it's 1 to 10); You can list up to a Top 50 if you want. 4. List the artist and title (i.e. 1. BTS - IDOL) 5. You only can list the song once per listing you submit. 6. List your top picks for this week in the comments 7. Submit your vote on my website at http://www.djdigital.info/vote_kpop 8. Email your list to [email protected] 9. I reserve the right to exclude listings considered spam. 10. Songs with more than 12 weeks are retired from the chart. 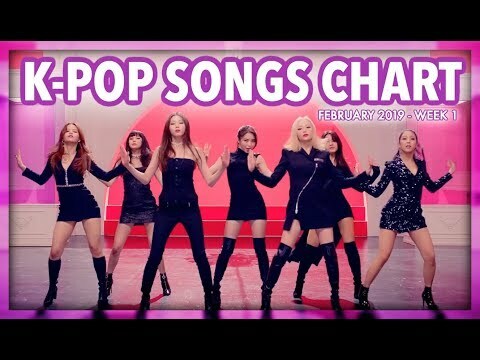 ▶ Song Index: Apink (에이핑크) - %% (Eung Eung) (응응) ASTRO (아스트로) - All Night (전화해) ATEEZ (에이티즈) - Say My Name Bang Yongguk (방용국) - Hikikomori (히키코모리) Ben (벤) - 180 Degrees (180도) Bolbbalgan4 (볼빨간사춘기) - My Trouble (Why OST) Cherry Bullet (체리블렛) - Q&A Cherry Bullet (체리블렛) - Violet Chung Ha (청하) - Gotta Go (벌써 12시) CLC (씨엘씨) - No DAY6 (데이식스) -Days Goes By (행복했던 날들이었다) EXID (이엑스아이디) - I Love You (알러뷰) EXO (엑소) - Love Shot FANATICS-FLAVOR (파나틱스-플레이버) - Milkshake FAVORITE (페이버릿) - LOCA GFRIEND (여자친구) - Sunrise (해야) GREYISH (그레이시) - CANDY (캔디) gugudan (구구단) - Not That Type Heize (헤이즈) - First Sight (첫눈에) Highlight (하이라이트) - Loved (사랑했나봐) HUTA (LEE MINHYUK) (이민혁) - YA Hyomin (효민) - U Um U Um (으음으음) iKON - I'm OK Jvcki Wai, Young B, Osshun Gum, Han Yo Han (재키와이, 영비, 오션검, 한요한) - Dding (띵) KNK (크나큰) - Lonely Night LABOUM (라붐) - Turn It On (불을 켜) Lovelyz (러블리즈) - Lost N Found (찾아가세요) LUNA (루나) - Even So (운다고 M.FECT (엠펙트) - Designer (디자이너) MAMAMOO (마마무) - Wind Flower N.Flying (엔플라잉) - Rooftop (옥탑방) NATURE (네이처) - Dream About U (꿈꿨어) NATURE (네이처) - SOME (You'll Be Mine (썸) NCT DREAM (엔시티 드림) - Candle Light (사랑한단 뜻이야) NU'EST W (뉴이스트 W) - Help Me ONEUS (원어스) - Valkyrie (발키리) Onew (온유) - Blue PENOMECO Feat. Crush (페노메코, 크러쉬) - No. 5 Red Velvet (레드벨벳) - Really Bad Boy Roh Taehyun (노태현) - I Wanna Know SEVENTEEN (세븐틴) - Getting Closer (숨이 차) SEVENTEEN (세븐틴) - Good To Me SEVENTEEN (세븐틴) - Home SHAUN (숀) - Bad Habits (습관) SoRi Feat. Jaehyun (소리) - I'm Ready Team X Feat. Fvrt (팀 엑스) - Modern THE BOYZ (더보이즈) - No Air TVXQ! (동방신기) - Truth VERIVERY (베리베리) - Ring Ring Ring (불러줘) WITZ (윗츠) - Love Love Love WJSN [Cosmic Girls] (우주소녀) - La La Love (라 라 러브) ▶ Goodbye Stage: ATEEZ (에이티즈) - HALA HALA (Hearts Awakened, Live Alive) ASTRO (아스트로) - Role Play Brand New Music - Sweater (스웨터) JENNIE - SOLO UP10TION (업텐션) - Blue Rose ▶ Bubbling Under: LU:KUS (루커스) - Faker ▶ Follow Me! Website: http://www.djdigital.info YouTube: https://www.youtube.com/DJDigitalHI Facebook: https://www.facebook.com/DJDigitalKPopCharts Google+: https://plus.google.com/+DJDigitalHI Twitter: https://twitter.com/djdigitalhi Tumblr: https://djdigitalhi.tumblr.com VK: http://vk.com/djdigitalkpop Internet Radio: https://goo.gl/2Vt3mE ▶ Outro Song: Song: Elektronomia - Limitless [NCS Release] Music provided by NoCopyrightSounds. Video: https://youtu.be/cNcy3J4x62M All videos/audio clips property of the respective record label, distribution company, writers, publishers and content owners. Support the artists and buy their stuff at your favorite music shop/online store! Don't forget to give this video a thumbs up, comment and subscribe if you like these! I appreciate all feedback! 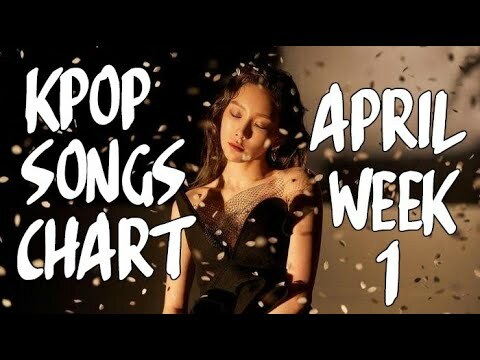 Here are the Top K-Pop Songs for April 2019 Week 1 (Week Ending April 6, 2019) as voted by the fans. Each week you the viewers get a say in what ranks on this K-Pop Songs Chart. 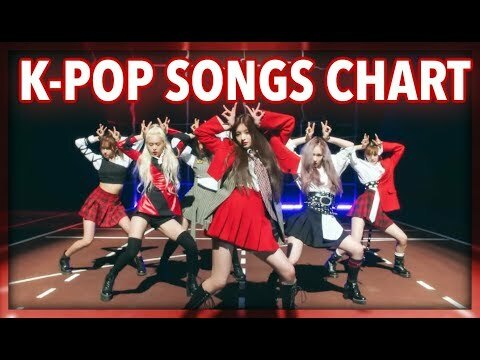 ▶ Please subscribe today so you don't miss any videos featuring the latest and best in K-pop: https://www.youtube.com/subscription_center?add_user=DJDigitalHI ▶ Voting Rules: 1. Your picks don't need to be in any of my videos; it's purely what you like this week 2. You can list oldies, album tracks, whatever...as long as it's K-Pop 3. List them in order of how you like them (either from 1 to 10, or 10 to 1, else I'll assume it's 1 to 10); You can list up to a Top 50 if you want. 4. List the artist and title (i.e. 1. BTS - IDOL) 5. You only can list the song once per listing you submit. 6. List your top picks for this week in the comments 7. Submit your vote on my website at http://www.djdigital.info/vote_kpop 8. Email your list to [email protected] 9. I reserve the right to exclude listings considered spam. 10. Songs with more than 12 weeks are retired from the chart. ▶ Song Index: 100% (백퍼센트) - Still Loving You Baek Yerin (백예린) - Maybe It's Not Our Fault (그건 아마 우리의 잘못은 아닐 거야) BLACKPINK (블랙핑크) - Don't Know What To Do BLACKPINK (블랙핑크) - Kill This Love Bolbbalgan4 (볼빨간사춘기) - Stars Over Me (별 보러 갈래?) Bolbbalgan4 (볼빨간사춘기) - Bom (나만, 봄) BTS Feat. Halsey (방탄소년단) - Boy With Luv (작은 것들을 위한 시) Chen (첸) - Beautiful Goodbye (사월이 지나면 우리 헤어져요) Cherry Bullet (체리블렛) - Q&A DIA (다이아) - WOOWA (우와) Jason Derulo, Lay & NCT 127 - Let's Shut Up & Dance Dreamcatcher (드림캐쳐) - PIRI (피리) EVERGLOW (에버글로우) - Bon Bon Chocolat (봉봉쇼콜라) (G)I-DLE ((여자)아이들) - Senorita GWSN (공원소녀) - Pinky Star (RUN) Heize (헤이즈) - She's Fine HOLLAND - Nar_C Hot Place (핫플레이스) - TMI Hwa Sa (화사) - TWIT (멍청이) ITZY (있지) - DALLA DALLA (달라달라) IZ*ONE (아이즈원) - Violeta (비올레타) JBJ95 - Awake Jeong Sewoon Feat. Penomeco (정세운) - Feeling JUS2 (저스투) - Focus On Me KARD (카드) - Bomb Bomb (밤밤) Key Feat. Soyeon (키, 소연) - I Wanna Be LOONA (이달의 소녀) - Butterfly MAMAMOO (마마무) - gogobebe (고고베베) MOMOLAND (모모랜드) - I'm So Hot MONSTA X (몬스타엑스) - Alligator MONSTA X (몬스타엑스) - Play It Cool ONF (온앤오프) - We Must Love (사랑하게 될 거야) OVAN X SHAUN (오반 X 숀) - She Is Park Bom Feat. Sandara Park (박봄, 산다라박) - Spring (봄) Park Jihoon (박지훈) - L.O.V.E PENTAGON (펜타곤) - Sha La La (신토불이) PRODUCE X 101 - X1-MA (_지마) S.I.S (에스아이에스) - Always Be Your Girl (너의 소녀가 되어줄게) SEVENTEEN (세븐틴) - Home SF9 (에스에프나인) - Enough (예뻐지지 마) Stray Kids (스트레이 키즈) - MIROH SUNMI (선미) - Noir (누아르) Taemin (태민) - Want Taeyeon (태연) - Four Seasons (사계) TREI (트레이) - Gravity (멀어져) TST (일급비밀) - Wake Up TXT [Tomorrow X Together] (투모로우바이투게더) - Crown (어느날 머리에서 뿔이 자랐다) Tiffany Young - Lips on Lips VAV (브이에이브이) - Thrilla Killa Wanna.B (워너비) - Leggo Z-GIRLS - What You Waiting For ▶ Goodbye Stage: ASTRO (아스트로) - All Night (전화해) ATEEZ (에이티즈) - Say My Name CLC (씨엘씨) - No FAVORITE (페이버릿) - LOCA GFRIEND (여자친구) - Sunrise (해야) NeonPunch (네온펀치) - Tic Toc ONEUS (원어스) - Valkyrie (발키리) VERIVERY (베리베리) - Ring Ring Ring (불러줘) ▶ Bubbling Under: Minhyun [NU'EST] (민현 (뉴이스트)) - Universe (별의 언어) ▶ Follow Me! Website: http://www.djdigital.info YouTube: https://www.youtube.com/DJDigitalHI Facebook: https://www.facebook.com/DJDigitalKPopCharts Google+: https://plus.google.com/+DJDigitalHI Twitter: https://twitter.com/djdigitalhi Tumblr: https://djdigitalhi.tumblr.com VK: http://vk.com/djdigitalkpop Internet Radio: https://goo.gl/2Vt3mE ▶ Outro Song: Song: Elektronomia - Limitless [NCS Release] Music provided by NoCopyrightSounds. Video: https://youtu.be/cNcy3J4x62M All videos/audio clips property of the respective record label, distribution company, writers, publishers and content owners. Support the artists and buy their stuff at your favorite music shop/online store! Don't forget to give this video a thumbs up, comment and subscribe if you like these! I appreciate all feedback! 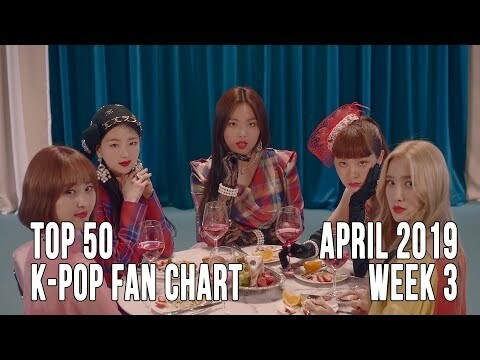 Here are the Top K-Pop Songs for April 2019 Week 3 (Week Ending April 20, 2019) as voted by the fans. 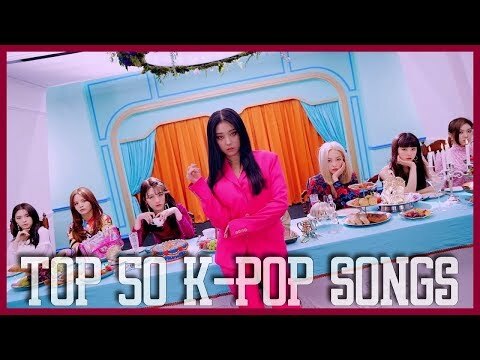 Each week you the viewers get a say in what ranks on this K-Pop Songs Chart. ▶ Please subscribe today so you don't miss any videos featuring the latest and best in K-pop: https://www.youtube.com/subscription_center?add_user=DJDigitalHI ▶ Voting Rules: 1. Your picks don't need to be in any of my videos; it's purely what you like this week 2. You can list oldies, album tracks, whatever...as long as it's K-Pop 3. List them in order of how you like them (either from 1 to 10, or 10 to 1, else I'll assume it's 1 to 10); You can list up to a Top 50 if you want. 4. List the artist and title (i.e. 1. BTS - IDOL) 5. You only can list the song once per listing you submit. 6. List your top picks for this week in the comments 7. Submit your vote on my website at http://www.djdigital.info/vote_kpop 8. Email your list to [email protected] 9. I reserve the right to exclude listings considered spam. 10. Songs with more than 12 weeks are retired from the chart. ▶ Song Index: 1TEAM (원팀) - VIBE (습관적 VIBE) 1THE9 (원더나인) - Spotlight Baek Yerin (백예린) - Maybe It's Not Our Fault (그건 아마 우리의 잘못은 아닐 거야) BLACKPINK (블랙핑크) - Don't Know What To Do BLACKPINK (블랙핑크) - Kill This Love Bolbbalgan4 (볼빨간사춘기) - Stars Over Me (별 보러 갈래?) Bolbbalgan4 (볼빨간사춘기) - Bom (나만, 봄) BTS Feat. 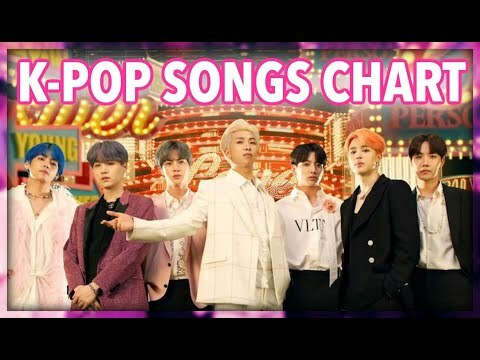 Halsey (방탄소년단) - Boy With Luv (작은 것들을 위한 시) BVNDIT (밴디트) - Hocus Pocus Chen (첸) - Beautiful Goodbye (사월이 지나면 우리 헤어져요) DIA (다이아) - WOOWA (우와) Dreamcatcher (드림캐쳐) - PIRI (피리) EVERGLOW (에버글로우) - Bon Bon Chocolat (봉봉쇼콜라) (G)I-DLE ((여자)아이들) - Senorita GWSN (공원소녀) - Pinky Star (RUN) Heize (헤이즈) - She's Fine HOLLAND - Nar_C Hot Place (핫플레이스) - TMI Hwa Sa (화사) - TWIT (멍청이) ITZY (있지) - DALLA DALLA (달라달라) IZ*ONE (아이즈원) - Violeta (비올레타) JBJ95 - Awake Jeong Sewoon Feat. Penomeco (정세운) - Feeling JUS2 (저스투) - Focus On Me KARD (카드) - Bomb Bomb (밤밤) Key Feat. Soyeon (키, 소연) - I Wanna Be LOONA (이달의 소녀) - Butterfly MAMAMOO (마마무) - gogobebe (고고베베) Minhyun [NU'EST] (민현 (뉴이스트)) - Universe (별의 언어) MOMOLAND (모모랜드) - I'm So Hot MONSTA X (몬스타엑스) - Alligator MONSTA X (몬스타엑스) - Play It Cool NeonPunch (네온펀치) - Tic Toc ONF (온앤오프) - We Must Love (사랑하게 될 거야) OVAN X SHAUN (오반 X 숀) - She Is Park Bom Feat. Sandara Park (박봄, 산다라박) - Spring (봄) Park Jihoon (박지훈) - L.O.V.E PENTAGON (펜타곤) - Sha La La (신토불이) PRODUCE X 101 - X1-MA (_지마) S.I.S (에스아이에스) - Always Be Your Girl (너의 소녀가 되어줄게) SF9 (에스에프나인) - Enough (예뻐지지 마) Stray Kids (스트레이 키즈) - MIROH SUNMI (선미) - Noir (누아르) Taeyeon (태연) - Four Seasons (사계) TREI (트레이) - Gravity (멀어져) TST (일급비밀) - Wake Up TXT [Tomorrow X Together] (투모로우바이투게더) - Crown (어느날 머리에서 뿔이 자랐다) VAV (브이에이브이) - Thrilla Killa Wanna.B (워너비) - Leggo Z-GIRLS - What You Waiting For ▶ Goodbye Stage: 100% (백퍼센트) - Still Loving You Cherry Bullet (체리블렛) - Q&A Jason Derulo, Lay & NCT 127 - Let's Shut Up & Dance SEVENTEEN (세븐틴) - Home Taemin (태민) - Want ▶ Bubbling Under: HASHTAG (해시태그) - Freesm SUPER JUNIOR-D&E (슈퍼주니어-D&E) - Danger (땡겨) ▶ Follow Me! Website: http://www.djdigital.info YouTube: https://www.youtube.com/DJDigitalHI Facebook: https://www.facebook.com/DJDigitalKPopCharts Google+: https://plus.google.com/+DJDigitalHI Twitter: https://twitter.com/djdigitalhi Tumblr: https://djdigitalhi.tumblr.com VK: http://vk.com/djdigitalkpop Internet Radio: https://goo.gl/2Vt3mE ▶ Outro Song: Song: Elektronomia - Limitless [NCS Release] Music provided by NoCopyrightSounds. Video: https://youtu.be/cNcy3J4x62M All videos/audio clips property of the respective record label, distribution company, writers, publishers and content owners. Support the artists and buy their stuff at your favorite music shop/online store! Don't forget to give this video a thumbs up, comment and subscribe if you like these! I appreciate all feedback! 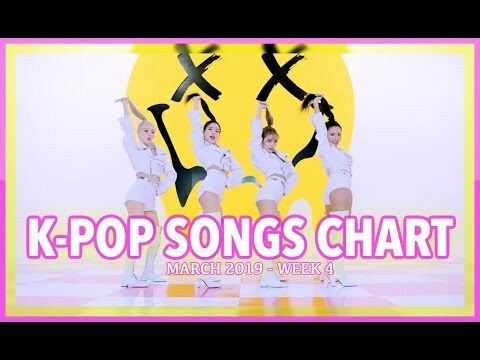 Here are the Top K-Pop Songs for March 2019 Week 1 (Week Ending March 9, 2019) as voted by the fans. Each week you the viewers get a say in what ranks on this K-Pop Songs Chart. ▶ Please subscribe today so you don't miss any videos featuring the latest and best in K-pop: https://www.youtube.com/subscription_center?add_user=DJDigitalHI ▶ Voting Rules: 1. Your picks don't need to be in any of my videos; it's purely what you like this week 2. You can list oldies, album tracks, whatever...as long as it's K-Pop 3. List them in order of how you like them (either from 1 to 10, or 10 to 1, else I'll assume it's 1 to 10); You can list up to a Top 50 if you want. 4. List the artist and title (i.e. 1. BTS - IDOL) 5. You only can list the song once per listing you submit. 6. List your top picks for this week in the comments 7. Submit your vote on my website at http://www.djdigital.info/vote_kpop 8. Email your list to [email protected] 9. I reserve the right to exclude listings considered spam. 10. Songs with more than 12 weeks are retired from the chart. ▶ Song Index: 1THE9 (원더나인) - It's Like Magic (마법 같아) Apink (에이핑크) - %% (Eung Eung) (응응) ASTRO (아스트로) - All Night (전화해) ATEEZ (에이티즈) - Say My Name Cherry Bullet (체리블렛) - Q&A Chung Ha (청하) - Gotta Go (벌써 12시) CLC (씨엘씨) - No Jason Derulo, Lay & NCT 127 - Let's Shut Up & Dance Dreamcatcher (드림캐쳐) - PIRI (피리) FAVORITE (페이버릿) - LOCA (G)I-DLE ((여자)아이들) - Senorita GFRIEND (여자친구) - Sunrise (해야) GREYISH (그레이시) - CANDY (캔디) Hwa Sa (화사) - TWIT (멍청이) ITZY (있지) - DALLA DALLA (달라달라) JUS2 (저스투) - Focus On Me Key Feat. Hanhae (키, 한해) - Cold Key Feat. Soyeon (키, 소연) - I Wanna Be LOONA (이달의 소녀) - Butterfly M.FECT (엠펙트) - Designer (디자이너) MONSTA X (몬스타엑스) - Alligator N.Flying (엔플라잉) - Rooftop (옥탑방) NATURE (네이처) - Dream About U (꿈꿨어) NeonPunch (네온펀치) - Tic Toc Onestar (임한별) - A Tearful Farewell (사랑 이딴 거) ONEUS (원어스) - Valkyrie (발키리) ONF (온앤오프) - We Must Love (사랑하게 될 거야) PENOMECO Feat. Crush (페노메코, 크러쉬) - No. 5 SEVENTEEN (세븐틴) - Getting Closer (숨이 차) SEVENTEEN (세븐틴) - Good To Me SEVENTEEN (세븐틴) - Home Seven O'Clock (세븐어클락) - Get Away (별을 쏘다) SF9 (에스에프나인) - Enough (예뻐지지 마) SHAUN (숀) - Bad Habits (습관) Sik-K (식케이) - Addict SUNMI (선미) - Noir (누아르) Taemin (태민) - Want TREI (트레이) - Gravity (멀어져) TST (일급비밀) - Wake Up TXT [Tomorrow X Together] (투모로우바이투게더) - Crown (어느날 머리에서 뿔이 자랐다) VERIVERY (베리베리) - Ring Ring Ring (불러줘) WJSN [Cosmic Girls] (우주소녀) - La La Love (라 라 러브) Woody (우디) - Fire Up (이 노래가 클럽에서 나온다면) Tiffany Young - Lips on Lips VANNER (배너) - Better Do Better (배로 두 배로) Wanna.B (워너비) - Leggo YUKIKA (유키카) - NEON (네온) Yuri & The Singing Girls (유리, 노래하는 말괄량이) - This Night (Guitar Version) (이 밤) Z-BOYS - No Limit Z-GIRLS - What You Waiting For ▶ Goodbye Stage: 1THE9 (원더나인) - Shoot A Star (별을 쏘다) ATEEZ (에이티즈) - HALA HALA (Hearts Awakened, Live Alive) HUTA (LEE MINHYUK) (이민혁) - YA iKON - I'm OK IMFACT (임팩트) - Only U INFINITE (인피니트) - Clock Loco Feat. Zion.T (로꼬, 자이언티) - It's Been A While (오랜만이야) M.O.N.T (몬트) - Will You Be My Girlfriend? (사귈래 말래?) NCT DREAM (엔시티 드림) - Candle Light (사랑한단 뜻이야) Roh Taehyun (노태현) - I Wanna Know SATURDAY (세러데이) - WiFi (와이파이) ▶ Bubbling Under: S.I.S (에스아이에스) - Always Be Your Girl (너의 소녀가 되어줄게) ▶ Follow Me! Website: http://www.djdigital.info YouTube: https://www.youtube.com/DJDigitalHI Facebook: https://www.facebook.com/DJDigitalKPopCharts Google+: https://plus.google.com/+DJDigitalHI Twitter: https://twitter.com/djdigitalhi Tumblr: https://djdigitalhi.tumblr.com VK: http://vk.com/djdigitalkpop Internet Radio: https://goo.gl/2Vt3mE ▶ Outro Song: Song: Elektronomia - Limitless [NCS Release] Music provided by NoCopyrightSounds. Video: https://youtu.be/cNcy3J4x62M All videos/audio clips property of the respective record label, distribution company, writers, publishers and content owners. Support the artists and buy their stuff at your favorite music shop/online store! Don't forget to give this video a thumbs up, comment and subscribe if you like these! I appreciate all feedback! 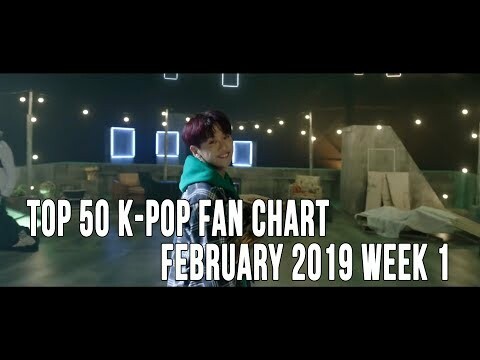 Here are the Top K-Pop Songs for February 2019 Week 2 (Week Ending February 16, 2019) as voted by the fans. 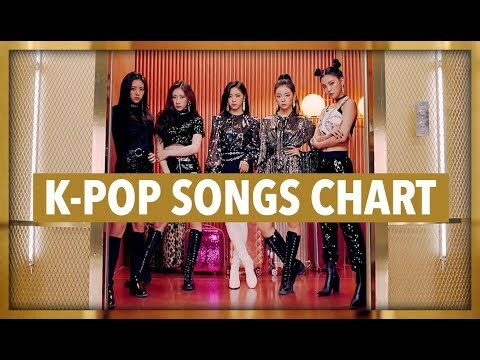 Each week you the viewers get a say in what ranks on this K-Pop Songs Chart. ▶ Please subscribe today so you don't miss any videos featuring the latest and best in K-pop: https://www.youtube.com/subscription_center?add_user=DJDigitalHI ▶ Voting Rules: 1. Your picks don't need to be in any of my videos; it's purely what you like this week 2. You can list oldies, album tracks, whatever...as long as it's K-Pop 3. List them in order of how you like them (either from 1 to 10, or 10 to 1, else I'll assume it's 1 to 10); You can list up to a Top 50 if you want. 4. List the artist and title (i.e. 1. BTS - IDOL) 5. You only can list the song once per listing you submit. 6. List your top picks for this week in the comments 7. Submit your vote on my website at http://www.djdigital.info/vote_kpop 8. Email your list to [email protected] 9. I reserve the right to exclude listings considered spam. 10. Songs with more than 12 weeks are retired from the chart. ▶ Song Index: Apink (에이핑크) - %% (Eung Eung) (응응) ASTRO (아스트로) - All Night (전화해) ATEEZ (에이티즈) - Say My Name Ben (벤) - 180 Degrees (180도) Cherry Bullet (체리블렛) - Q&A Cherry Bullet (체리블렛) - Violet Chung Ha (청하) - Gotta Go (벌써 12시) CLC (씨엘씨) - No DAY6 (데이식스) -Days Goes By (행복했던 날들이었다) Dreamcatcher (드림캐쳐) - PIRI (피리) EXO (엑소) - Love Shot FANATICS-FLAVOR (파나틱스-플레이버) - Milkshake FAVORITE (페이버릿) - LOCA GFRIEND (여자친구) - Sunrise (해야) GREYISH (그레이시) - CANDY (캔디) HUTA (LEE MINHYUK) (이민혁) - YA Hwa Sa (화사) - TWIT (멍청이) Hyomin (효민) - U Um U Um (으음으음) iKON - I'm OK IMFACT (임팩트) - Only U INFINITE (인피니트) - Clock ITZY (있지) - DALLA DALLA (달라달라) Jvcki Wai, Young B, Osshun Gum, Han Yo Han (재키와이, 영비, 오션검, 한요한) - Dding (띵) KNK (크나큰) - Lonely Night LABOUM (라붐) - Turn It On (불을 켜) Loco Feat. Zion.T (로꼬, 자이언티) - It's Been A While (오랜만이야) Lovelyz (러블리즈) - Lost N Found (찾아가세요) LU:KUS (루커스) - Faker M.FECT (엠펙트) - Designer (디자이너) M.O.N.T (몬트) - Will You Be My Girlfriend? (사귈래 말래?) MAMAMOO (마마무) - Wind Flower N.Flying (엔플라잉) - Rooftop (옥탑방) NATURE (네이처) - Dream About U (꿈꿨어) NCT DREAM (엔시티 드림) - Candle Light (사랑한단 뜻이야) NeonPunch (네온펀치) - Tic Toc ONEUS (원어스) - Valkyrie (발키리) ONF (온앤오프) - We Must Love (사랑하게 될 거야) PENOMECO Feat. Crush (페노메코, 크러쉬) - No. 5 Red Velvet (레드벨벳) - Really Bad Boy Roh Taehyun (노태현) - I Wanna Know SEVENTEEN (세븐틴) - Getting Closer (숨이 차) SEVENTEEN (세븐틴) - Good To Me SEVENTEEN (세븐틴) - Home SHAUN (숀) - Bad Habits (습관) Taemin (태민) - Want THE BOYZ (더보이즈) - No Air TST (일급비밀) - Wake Up TVXQ! (동방신기) - Truth VERIVERY (베리베리) - Ring Ring Ring (불러줘) WITZ (윗츠) - Love Love Love WJSN [Cosmic Girls] (우주소녀) - La La Love (라 라 러브) Yuri & The Singing Girls (유리, 노래하는 말괄량이) - This Night (Guitar Version) (이 밤) ▶ Goodbye Stage: Bang Yongguk (방용국) - Hikikomori (히키코모리) Bolbbalgan4 (볼빨간사춘기) - My Trouble (Why OST) EXID (이엑스아이디) - I Love You (알러뷰) Heize (헤이즈) - First Sight (첫눈에) Highlight (하이라이트) - Loved (사랑했나봐) LUNA (루나) - Even So (운다고 NATURE (네이처) - SOME (You'll Be Mine (썸) NU'EST W (뉴이스트 W) - Help Me Onew (온유) - Blue SoRi Feat. Jaehyun (소리) - I'm Ready Team X Feat. Fvrt (팀 엑스) - Modern ▶ Bubbling Under: ATEEZ (에이티즈) - HALA HALA (Hearts Awakened, Live Alive) ▶ Follow Me! Website: http://www.djdigital.info YouTube: https://www.youtube.com/DJDigitalHI Facebook: https://www.facebook.com/DJDigitalKPopCharts Google+: https://plus.google.com/+DJDigitalHI Twitter: https://twitter.com/djdigitalhi Tumblr: https://djdigitalhi.tumblr.com VK: http://vk.com/djdigitalkpop Internet Radio: https://goo.gl/2Vt3mE ▶ Outro Song: Song: Elektronomia - Limitless [NCS Release] Music provided by NoCopyrightSounds. Video: https://youtu.be/cNcy3J4x62M All videos/audio clips property of the respective record label, distribution company, writers, publishers and content owners. Support the artists and buy their stuff at your favorite music shop/online store! Don't forget to give this video a thumbs up, comment and subscribe if you like these! I appreciate all feedback! 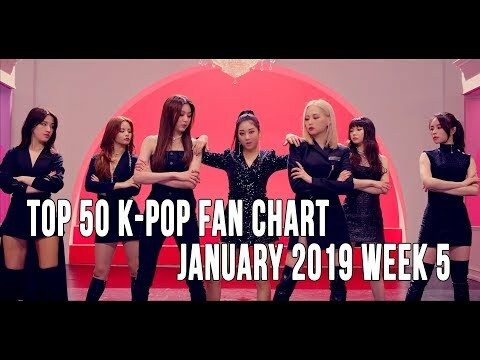 Here are the Top K-Pop Songs for January 2019 Week 1 (Week Ending January 5, 2019) as voted by the fans. 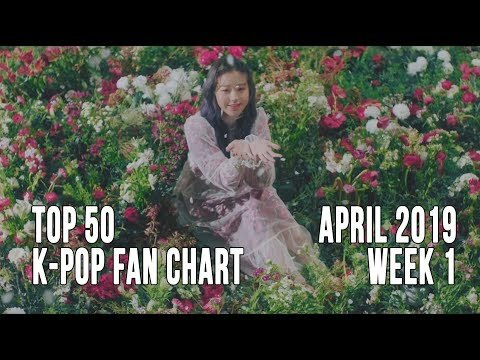 Each week you the viewers get a say in what ranks on this K-Pop Songs Chart. 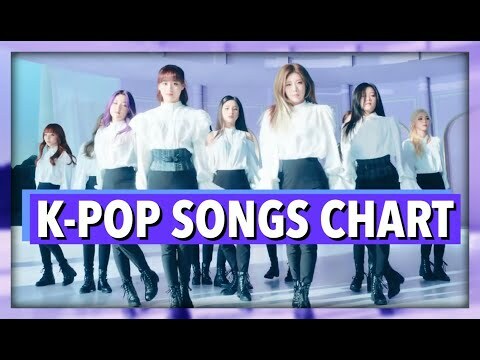 ▶ Please subscribe today so you don't miss any videos featuring the latest and best in K-pop: https://www.youtube.com/subscription_center?add_user=DJDigitalHI ▶ Voting Rules: 1. Your picks don't need to be in any of my videos; it's purely what you like this week 2. You can list oldies, album tracks, whatever...as long as it's K-Pop 3. List them in order of how you like them (either from 1 to 10, or 10 to 1, else I'll assume it's 1 to 10); You can list up to a Top 50 if you want. 4. List the artist and title (i.e. 1. BTS - IDOL) 5. You only can list the song once per listing you submit. 6. List your top picks for this week in the comments 7. Submit your vote on my website at http://www.djdigital.info/vote_kpop 8. Email your list to [email protected] 9. I reserve the right to exclude listings considered spam. 10. Songs with more than 12 weeks are retired from the chart. ▶ Song Index: 14U (원포유) - N.E.W.S (Compass) (나침반) APRIL (에이프릴) - Oh! My Mistake (예쁜 게 죄) Ben (벤) - 180 Degrees (180도) BTOB (비투비) - Beautiful Pain (아름답고도 아프구나) Chung Ha (청하) - Gotta Go (벌써 12시) DAY6 (데이식스) -Days Goes By (행복했던 날들이었다) EXID (이엑스아이디) - I Love You (알러뷰) EXO (엑소) - Love Shot EXO (엑소) - Tempo fromis_9 (프로미스나인) - Love Bomb Golden Child (골든차일드) - Genie GOT7 (갓세븐) - Miracle gugudan (구구단) - Not That Type Heize (헤이즈) - First Sight (첫눈에) Highlight (하이라이트) - Loved (사랑했나봐) IZ*ONE (아이즈원) - La Vie en Rose (라비앙로즈) JBJ95 - Stay JENNIE - SOLO Jessica (제시카) - One More Christmas K/DA Feat. Madison Beer, (G)I-DLE & Jaira Burns - Pop/Stars Key Feat. Crush (키, 크러쉬) - One Of Those Nights (센 척 안 해) KEY Feat. SoYou (키, 소유) - Forever Yours LABOUM (라붐) - Turn It On (불을 켜) Lovelyz (러블리즈) - Lost N Found (찾아가세요) MAMAMOO (마마무) - Wind Flower MINO (송민호) - Fiance (아낙네) NATURE (네이처) - SOME (You'll Be Mine (썸) NCT 127 (엔시티 127) - Simon Says NCT DREAM (엔시티 드림) - Candle Light (사랑한단 뜻이야) NU'EST W (뉴이스트 W) - Help Me Onew (온유) - Blue PENOMECO Feat. Crush (페노메코, 크러쉬) - No. 5 Red Velvet (레드벨벳) - Really Bad Boy SE7EN - Scared SEVENTEEN (세븐틴) - Getting Closer (숨이 차) SPECTRUM (스펙트럼) - What Do I Do Stray Kids (스트레이 키즈) - Get Cool Stray Kids (스트레이 키즈) - I Am YOU THE BOYZ (더보이즈) - No Air TST (Top Secret) (일급비밀) - Paradise (낙원) TVXQ! (동방신기) - Truth TWICE (트와이스) - Yes Or Yes UP10TION (업텐션) - Blue Rose VAV (브이에이브이) - Senorita VAV (브이에이브이) - So In Love VOISPER (보이스퍼) - Goodbye to Goodbye Wanna One (워너원) - Spring Breeze (봄바람) WINNER - Millions Yesung X Chungha (예성 X 청하) - Whatcha Doin'? (지금 어디야?) Yubin (유빈) - Thank U Soooo Much ▶ Goodbye Stage: AlphaBAT (알파벳) - New World (신세계) Baek A Yeon (백아연) - Sorry To Myself (마음아 미안해) BoA (보아) - Woman IU (아이유) - BBIBBI (삐삐) Red Velvet (레드벨벳) - Butterflies SNUPER (스누퍼) - You In My Eyes (내 눈에는 니가) The Man Blk (더 맨 블랙) - Free Fall TWICE (트와이스) - The Best Thing I Ever Did (올해 제일 잘한 일) Weki Meki (위키미키) - Crush ▶ Bubbling Under: N.Flying (엔플라잉) - Rooftop (옥탑방) ▶ Follow Me! Website: http://www.djdigital.info YouTube: https://www.youtube.com/DJDigitalHI Facebook: https://www.facebook.com/DJDigitalKPopCharts Google+: https://plus.google.com/+DJDigitalHI Twitter: https://twitter.com/djdigitalhi Tumblr: https://djdigitalhi.tumblr.com VK: http://vk.com/djdigitalkpop Internet Radio: https://goo.gl/2Vt3mE ▶ Outro Song: Song: Elektronomia - Limitless [NCS Release] Music provided by NoCopyrightSounds. Video: https://youtu.be/cNcy3J4x62M All videos/audio clips property of the respective record label, distribution company, writers, publishers and content owners. Support the artists and buy their stuff at your favorite music shop/online store! Don't forget to give this video a thumbs up, comment and subscribe if you like these! I appreciate all feedback! 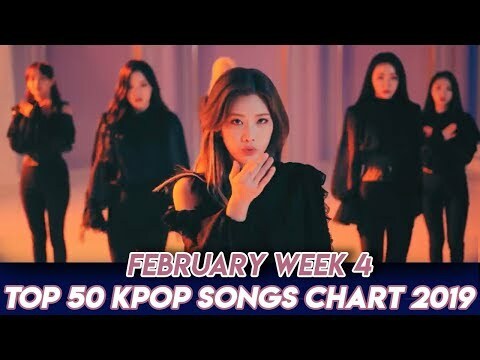 Here are the Top K-Pop Songs for February 2019 Week 4 (Week Ending March 2, 2019) as voted by the fans. Each week you the viewers get a say in what ranks on this K-Pop Songs Chart. ▶ Please subscribe today so you don't miss any videos featuring the latest and best in K-pop: https://www.youtube.com/subscription_center?add_user=DJDigitalHI ▶ Voting Rules: 1. Your picks don't need to be in any of my videos; it's purely what you like this week 2. You can list oldies, album tracks, whatever...as long as it's K-Pop 3. List them in order of how you like them (either from 1 to 10, or 10 to 1, else I'll assume it's 1 to 10); You can list up to a Top 50 if you want. 4. List the artist and title (i.e. 1. BTS - IDOL) 5. You only can list the song once per listing you submit. 6. List your top picks for this week in the comments 7. Submit your vote on my website at http://www.djdigital.info/vote_kpop 8. Email your list to [email protected] 9. I reserve the right to exclude listings considered spam. 10. Songs with more than 12 weeks are retired from the chart. ▶ Song Index: 1THE9 (원더나인) - It's Like Magic (마법 같아) 1THE9 (원더나인) - Shoot A Star (별을 쏘다) Apink (에이핑크) - %% (Eung Eung) (응응) ASTRO (아스트로) - All Night (전화해) ATEEZ (에이티즈) - HALA HALA (Hearts Awakened, Live Alive) ATEEZ (에이티즈) - Say My Name Cherry Bullet (체리블렛) - Q&A Chung Ha (청하) - Gotta Go (벌써 12시) CLC (씨엘씨) - No Jason Derulo, Lay & NCT 127 - Let's Shut Up & Dance Dreamcatcher (드림캐쳐) - PIRI (피리) EXO (엑소) - Love Shot FAVORITE (페이버릿) - LOCA (G)I-DLE ((여자)아이들) - Senorita GFRIEND (여자친구) - Sunrise (해야) GREYISH (그레이시) - CANDY (캔디) HUTA (LEE MINHYUK) (이민혁) - YA Hwa Sa (화사) - TWIT (멍청이) iKON - I'm OK IMFACT (임팩트) - Only U INFINITE (인피니트) - Clock ITZY (있지) - DALLA DALLA (달라달라) Loco Feat. Zion.T (로꼬, 자이언티) - It's Been A While (오랜만이야) LOONA (이달의 소녀) - Butterfly LU:KUS (루커스) - Faker M.FECT (엠펙트) - Designer (디자이너) M.O.N.T (몬트) - Will You Be My Girlfriend? (사귈래 말래?) MONSTA X (몬스타엑스) - Alligator NATURE (네이처) - Dream About U (꿈꿨어) NCT DREAM (엔시티 드림) - Candle Light (사랑한단 뜻이야) NeonPunch (네온펀치) - Tic Toc Onestar (임한별) - A Tearful Farewell (사랑 이딴 거) ONEUS (원어스) - Valkyrie (발키리) ONF (온앤오프) - We Must Love (사랑하게 될 거야) PENOMECO Feat. Crush (페노메코, 크러쉬) - No. 5 Roh Taehyun (노태현) - I Wanna Know SATURDAY (세러데이) - WiFi (와이파이) SEVENTEEN (세븐틴) - Getting Closer (숨이 차) SEVENTEEN (세븐틴) - Good To Me SEVENTEEN (세븐틴) - Home Seven O'Clock (세븐어클락) - Get Away (별을 쏘다) SF9 (에스에프나인) - Enough (예뻐지지 마) SHAUN (숀) - Bad Habits (습관) Taemin (태민) - Want TREI (트레이) - Gravity (멀어져) TST (일급비밀) - Wake Up VERIVERY (베리베리) - Ring Ring Ring (불러줘) WJSN [Cosmic Girls] (우주소녀) - La La Love (라 라 러브) Woody (우디) - Fire Up (이 노래가 클럽에서 나온다면) Tiffany Young - Lips on Lips YUKIKA (유키카) - NEON (네온) Yuri & The Singing Girls (유리, 노래하는 말괄량이) - This Night (Guitar Version) (이 밤) ▶ Goodbye Stage: DAY6 (데이식스) - Days Gone By (행복했던 날들이었다) Hyomin (효민) - U Um U Um (으음으음) Jvcki Wai, Young B, Osshun Gum, Han Yo Han (재키와이, 영비, 오션검, 한요한) - Dding (띵) Key Feat. Hanhae (키, 한해) - Cold KNK (크나큰) - Lonely Night TVXQ! (동방신기) - Truth WITZ (윗츠) - Love Love Love ▶ Bubbling Under: Wanna.B (워너비) - Leggo Yoon Jisung (윤지성) - In The Rain ▶ Follow Me! Website: http://www.djdigital.info YouTube: https://www.youtube.com/DJDigitalHI Facebook: https://www.facebook.com/DJDigitalKPopCharts Google+: https://plus.google.com/+DJDigitalHI Twitter: https://twitter.com/djdigitalhi Tumblr: https://djdigitalhi.tumblr.com VK: http://vk.com/djdigitalkpop Internet Radio: https://goo.gl/2Vt3mE ▶ Outro Song: Song: Elektronomia - Limitless [NCS Release] Music provided by NoCopyrightSounds. Video: https://youtu.be/cNcy3J4x62M All videos/audio clips property of the respective record label, distribution company, writers, publishers and content owners. Support the artists and buy their stuff at your favorite music shop/online store! Don't forget to give this video a thumbs up, comment and subscribe if you like these! I appreciate all feedback! 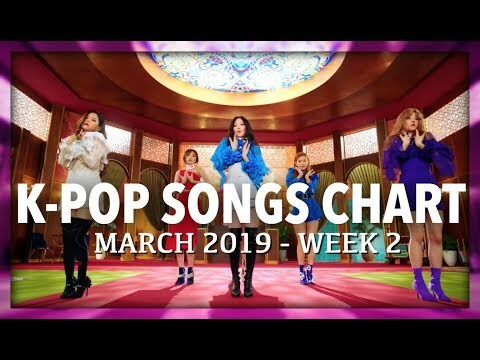 Here are the Top K-Pop Songs for March 2019 Week 2 (Week Ending March 16, 2019) as voted by the fans. 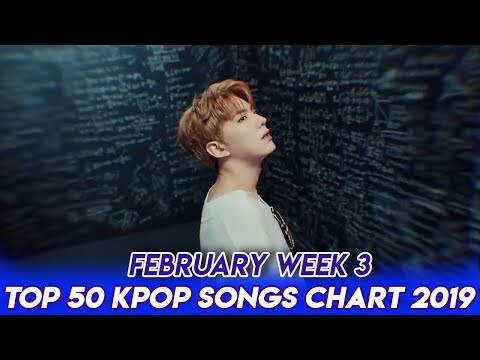 Each week you the viewers get a say in what ranks on this K-Pop Songs Chart. ▶ Please subscribe today so you don't miss any videos featuring the latest and best in K-pop: https://www.youtube.com/subscription_center?add_user=DJDigitalHI ▶ Voting Rules: 1. Your picks don't need to be in any of my videos; it's purely what you like this week 2. You can list oldies, album tracks, whatever...as long as it's K-Pop 3. List them in order of how you like them (either from 1 to 10, or 10 to 1, else I'll assume it's 1 to 10); You can list up to a Top 50 if you want. 4. List the artist and title (i.e. 1. BTS - IDOL) 5. You only can list the song once per listing you submit. 6. List your top picks for this week in the comments 7. Submit your vote on my website at http://www.djdigital.info/vote_kpop 8. Email your list to [email protected] 9. I reserve the right to exclude listings considered spam. 10. Songs with more than 12 weeks are retired from the chart. ▶ Song Index: 1THE9 (원더나인) - It's Like Magic (마법 같아) Apink (에이핑크) - %% (Eung Eung) (응응) ASTRO (아스트로) - All Night (전화해) ATEEZ (에이티즈) - Say My Name Cherry Bullet (체리블렛) - Q&A Chung Ha (청하) - Gotta Go (벌써 12시) CLC (씨엘씨) - No Jason Derulo, Lay & NCT 127 - Let's Shut Up & Dance Dreamcatcher (드림캐쳐) - PIRI (피리) EPIK HIGH Feat. Crush (에픽하이, 크러쉬) - Lovedrunk (술이 달다) FAVORITE (페이버릿) - LOCA (G)I-DLE ((여자)아이들) - Senorita GFRIEND (여자친구) - Sunrise (해야) GREYISH (그레이시) - CANDY (캔디) GWSN (공원소녀) - Pinky Star (RUN) Hwa Sa (화사) - TWIT (멍청이) IMFACT (임팩트) - Only U ITZY (있지) - DALLA DALLA (달라달라) JUS2 (저스투) - Focus On Me Key Feat. Soyeon (키, 소연) - I Wanna Be LOONA (이달의 소녀) - Butterfly M.FECT (엠펙트) - Designer (디자이너) MAMAMOO (마마무) - gogobebe (고고베베) MONSTA X (몬스타엑스) - Alligator N.Flying (엔플라잉) - Rooftop (옥탑방) NeonPunch (네온펀치) - Tic Toc Onestar (임한별) - A Tearful Farewell (사랑 이딴 거) ONEUS (원어스) - Valkyrie (발키리) ONF (온앤오프) - We Must Love (사랑하게 될 거야) Park Bom Feat. Sandara Park (박봄, 산다라박) - Spring (봄) PENOMECO Feat. Crush (페노메코, 크러쉬) - No. 5 S.I.S (에스아이에스) - Always Be Your Girl (너의 소녀가 되어줄게) SEVENTEEN (세븐틴) - Good To Me SEVENTEEN (세븐틴) - Home Seven O'Clock (세븐어클락) - Get Away (별을 쏘다) SF9 (에스에프나인) - Enough (예뻐지지 마) SHAUN (숀) - Bad Habits (습관) SUNMI (선미) - Noir (누아르) Taemin (태민) - Want TREI (트레이) - Gravity (멀어져) TST (일급비밀) - Wake Up TXT [Tomorrow X Together] (투모로우바이투게더) - Crown (어느날 머리에서 뿔이 자랐다) VERIVERY (베리베리) - Ring Ring Ring (불러줘) Woody (우디) - Fire Up (이 노래가 클럽에서 나온다면) Tiffany Young - Lips on Lips VANNER (배너) - Better Do Better (배로 두 배로) Wanna.B (워너비) - Leggo YUKIKA (유키카) - NEON (네온) Z-BOYS - No Limit Z-GIRLS - What You Waiting For ▶ Goodbye Stage: Key Feat. Hanhae (키, 한해) - Cold NATURE (네이처) - Dream About U (꿈꿨어) SEVENTEEN (세븐틴) - Getting Closer (숨이 차) Sik-K (식케이) - Addict WJSN [Cosmic Girls] (우주소녀) - La La Love (라 라 러브) Yuri & The Singing Girls (유리, 노래하는 말괄량이) - This Night (Guitar Version) (이 밤) ▶ Bubbling Under: 100% (백퍼센트) - Still Loving You WOOSEOK X KUANLIN (우석 X 관린) - I'm A Star (별짓) ▶ Follow Me! Website: http://www.djdigital.info YouTube: https://www.youtube.com/DJDigitalHI Facebook: https://www.facebook.com/DJDigitalKPopCharts Google+: https://plus.google.com/+DJDigitalHI Twitter: https://twitter.com/djdigitalhi Tumblr: https://djdigitalhi.tumblr.com VK: http://vk.com/djdigitalkpop Internet Radio: https://goo.gl/2Vt3mE ▶ Outro Song: Song: Elektronomia - Limitless [NCS Release] Music provided by NoCopyrightSounds. Video: https://youtu.be/cNcy3J4x62M All videos/audio clips property of the respective record label, distribution company, writers, publishers and content owners. Support the artists and buy their stuff at your favorite music shop/online store! Don't forget to give this video a thumbs up, comment and subscribe if you like these! I appreciate all feedback! 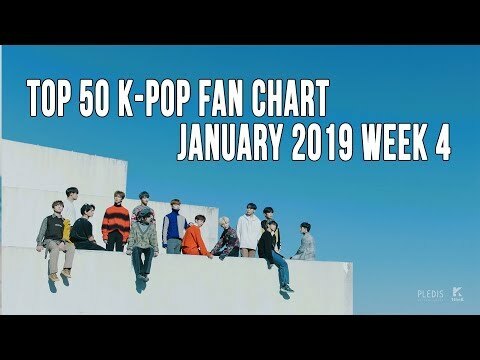 Here are the Top K-Pop Songs for January 2019 Week 2 (Week Ending January 12, 2019) as voted by the fans. Each week you the viewers get a say in what ranks on this K-Pop Songs Chart. ▶ Please subscribe today so you don't miss any videos featuring the latest and best in K-pop: https://www.youtube.com/subscription_center?add_user=DJDigitalHI ▶ Voting Rules: 1. Your picks don't need to be in any of my videos; it's purely what you like this week 2. You can list oldies, album tracks, whatever...as long as it's K-Pop 3. List them in order of how you like them (either from 1 to 10, or 10 to 1, else I'll assume it's 1 to 10); You can list up to a Top 50 if you want. 4. List the artist and title (i.e. 1. BTS - IDOL) 5. You only can list the song once per listing you submit. 6. List your top picks for this week in the comments 7. Submit your vote on my website at http://www.djdigital.info/vote_kpop 8. Email your list to [email protected] 9. I reserve the right to exclude listings considered spam. 10. Songs with more than 12 weeks are retired from the chart. ▶ Song Index: 14U (원포유) - N.E.W.S (Compass) (나침반) Apink (에이핑크) - %% (Eung Eung) (응응) Ben (벤) - 180 Degrees (180도) Brand New Music - Sweater (스웨터) BTOB (비투비) - Beautiful Pain (아름답고도 아프구나) Chung Ha (청하) - Gotta Go (벌써 12시) DAY6 (데이식스) -Days Goes By (행복했던 날들이었다) EXID (이엑스아이디) - I Love You (알러뷰) EXO (엑소) - Love Shot EXO (엑소) - Tempo Golden Child (골든차일드) - Genie GOT7 (갓세븐) - Miracle gugudan (구구단) - Not That Type Heize (헤이즈) - First Sight (첫눈에) Highlight (하이라이트) - Loved (사랑했나봐) H.U.B - Finale (피날레) iKON - I'm OK IZ*ONE (아이즈원) - La Vie en Rose (라비앙로즈) JENNIE - SOLO K/DA Feat. Madison Beer, (G)I-DLE & Jaira Burns - Pop/Stars KEY Feat. SoYou (키, 소유) - Forever Yours KNK (크나큰) - Lonely Night LABOUM (라붐) - Turn It On (불을 켜) Lovelyz (러블리즈) - Lost N Found (찾아가세요) M.FECT (엠펙트) - Designer (디자이너) MAMAMOO (마마무) - Wind Flower MINO (송민호) - Fiance (아낙네) N.Flying (엔플라잉) - Rooftop (옥탑방) Nam Woo Hyun (남우현) - A Song For You (지금 이 노래) NATURE (네이처) - SOME (You'll Be Mine (썸) NCT 127 (엔시티 127) - Simon Says NCT DREAM (엔시티 드림) - Candle Light (사랑한단 뜻이야) NU'EST W (뉴이스트 W) - Help Me Onew (온유) - Blue PENOMECO Feat. Crush (페노메코, 크러쉬) - No. 5 Red Velvet (레드벨벳) - Really Bad Boy SEVENTEEN (세븐틴) - Getting Closer (숨이 차) SPECTRUM (스펙트럼) - What Do I Do Stray Kids (스트레이 키즈) - Get Cool Stray Kids (스트레이 키즈) - I Am YOU THE BOYZ (더보이즈) - No Air TST (Top Secret) (일급비밀) - Paradise (낙원) TVXQ! (동방신기) - Truth UP10TION (업텐션) - Blue Rose VOISPER (보이스퍼) - Goodbye to Goodbye Wanna One (워너원) - Spring Breeze (봄바람) WINNER - Millions WJSN [Cosmic Girls] (우주소녀) - La La Love (라 라 러브) Yesung X Chungha (예성 X 청하) - Whatcha Doin'? (지금 어디야?) Yubin (유빈) - Thank U Soooo Much ▶ Goodbye Stage: APRIL (에이프릴) - Oh! My Mistake (예쁜 게 죄) fromis_9 (프로미스나인) - Love Bomb JBJ95 - Stay Jessica (제시카) - One More Christmas Key Feat. Crush (키, 크러쉬) - One Of Those Nights (센 척 안 해) SE7EN - Scared TWICE (트와이스) - Yes Or Yes VAV (브이에이브이) - Senorita VAV (브이에이브이) - So In Love ▶ Bubbling Under: LUNA (루나) - Even So (운다고) ▶ Follow Me! Website: http://www.djdigital.info YouTube: https://www.youtube.com/DJDigitalHI Facebook: https://www.facebook.com/DJDigitalKPopCharts Google+: https://plus.google.com/+DJDigitalHI Twitter: https://twitter.com/djdigitalhi Tumblr: https://djdigitalhi.tumblr.com VK: http://vk.com/djdigitalkpop Internet Radio: https://goo.gl/2Vt3mE ▶ Outro Song: Song: Elektronomia - Limitless [NCS Release] Music provided by NoCopyrightSounds. Video: https://youtu.be/cNcy3J4x62M All videos/audio clips property of the respective record label, distribution company, writers, publishers and content owners. Support the artists and buy their stuff at your favorite music shop/online store! Don't forget to give this video a thumbs up, comment and subscribe if you like these! I appreciate all feedback! 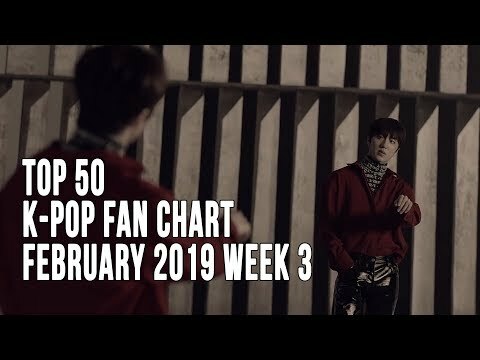 Here are the Top K-Pop Songs for February 2019 Week 3 (Week Ending February 23, 2019) as voted by the fans. Each week you the viewers get a say in what ranks on this K-Pop Songs Chart. ▶ Please subscribe today so you don't miss any videos featuring the latest and best in K-pop: https://www.youtube.com/subscription_center?add_user=DJDigitalHI ▶ Voting Rules: 1. Your picks don't need to be in any of my videos; it's purely what you like this week 2. You can list oldies, album tracks, whatever...as long as it's K-Pop 3. List them in order of how you like them (either from 1 to 10, or 10 to 1, else I'll assume it's 1 to 10); You can list up to a Top 50 if you want. 4. List the artist and title (i.e. 1. BTS - IDOL) 5. You only can list the song once per listing you submit. 6. List your top picks for this week in the comments 7. Submit your vote on my website at http://www.djdigital.info/vote_kpop 8. Email your list to [email protected] 9. I reserve the right to exclude listings considered spam. 10. Songs with more than 12 weeks are retired from the chart. ▶ Song Index: Apink (에이핑크) - %% (Eung Eung) (응응) ASTRO (아스트로) - All Night (전화해) ATEEZ (에이티즈) - HALA HALA (Hearts Awakened, Live Alive) ATEEZ (에이티즈) - Say My Name Ben (벤) - 180 Degrees (180도) Cherry Bullet (체리블렛) - Q&A Chung Ha (청하) - Gotta Go (벌써 12시) CLC (씨엘씨) - No DAY6 (데이식스) - Days Gone By (행복했던 날들이었다) Dreamcatcher (드림캐쳐) - PIRI (피리) EXO (엑소) - Love Shot FAVORITE (페이버릿) - LOCA GFRIEND (여자친구) - Sunrise (해야) GREYISH (그레이시) - CANDY (캔디) HUTA (LEE MINHYUK) (이민혁) - YA Hwa Sa (화사) - TWIT (멍청이) Hyomin (효민) - U Um U Um (으음으음) iKON - I'm OK IMFACT (임팩트) - Only U INFINITE (인피니트) - Clock ITZY (있지) - DALLA DALLA (달라달라) Jvcki Wai, Young B, Osshun Gum, Han Yo Han (재키와이, 영비, 오션검, 한요한) - Dding (띵) Key Feat. Hanhae (키, 한해) - Cold KNK (크나큰) - Lonely Night Loco Feat. Zion.T (로꼬, 자이언티) - It's Been A While (오랜만이야) LOONA (이달의 소녀) - Butterfly LU:KUS (루커스) - Faker M.FECT (엠펙트) - Designer (디자이너) M.O.N.T (몬트) - Will You Be My Girlfriend? (사귈래 말래?) MONSTA X (몬스타엑스) - Alligator NATURE (네이처) - Dream About U (꿈꿨어) NCT DREAM (엔시티 드림) - Candle Light (사랑한단 뜻이야) NeonPunch (네온펀치) - Tic Toc ONEUS (원어스) - Valkyrie (발키리) ONF (온앤오프) - We Must Love (사랑하게 될 거야) PENOMECO Feat. Crush (페노메코, 크러쉬) - No. 5 Roh Taehyun (노태현) - I Wanna Know SATURDAY (세러데이) - WiFi (와이파이) SEVENTEEN (세븐틴) - Getting Closer (숨이 차) SEVENTEEN (세븐틴) - Good To Me SEVENTEEN (세븐틴) - Home SF9 (에스에프나인) - Enough (예뻐지지 마) SHAUN (숀) - Bad Habits (습관) Taemin (태민) - Want TREI (트레이) - Gravity (멀어져) TST (일급비밀) - Wake Up TVXQ! (동방신기) - Truth VERIVERY (베리베리) - Ring Ring Ring (불러줘) WITZ (윗츠) - Love Love Love WJSN [Cosmic Girls] (우주소녀) - La La Love (라 라 러브) Yuri & The Singing Girls (유리, 노래하는 말괄량이) - This Night (Guitar Version) (이 밤) ▶ Goodbye Stage: Cherry Bullet (체리블렛) - Violet LABOUM (라붐) - Turn It On (불을 켜) Lovelyz (러블리즈) - Lost N Found (찾아가세요) MAMAMOO (마마무) - Wind Flower Red Velvet (레드벨벳) - Really Bad Boy THE BOYZ (더보이즈) - No Air ▶ Bubbling Under: AWEEK (어위크) - The More I See (보면 볼수록) Tiffany Young - Lips on Lips VANNER (배너) - Better Do Better (배로 두 배로) ▶ Follow Me! Website: http://www.djdigital.info YouTube: https://www.youtube.com/DJDigitalHI Facebook: https://www.facebook.com/DJDigitalKPopCharts Google+: https://plus.google.com/+DJDigitalHI Twitter: https://twitter.com/djdigitalhi Tumblr: https://djdigitalhi.tumblr.com VK: http://vk.com/djdigitalkpop Internet Radio: https://goo.gl/2Vt3mE ▶ Outro Song: Song: Elektronomia - Limitless [NCS Release] Music provided by NoCopyrightSounds. Video: https://youtu.be/cNcy3J4x62M All videos/audio clips property of the respective record label, distribution company, writers, publishers and content owners. Support the artists and buy their stuff at your favorite music shop/online store! Don't forget to give this video a thumbs up, comment and subscribe if you like these! I appreciate all feedback! 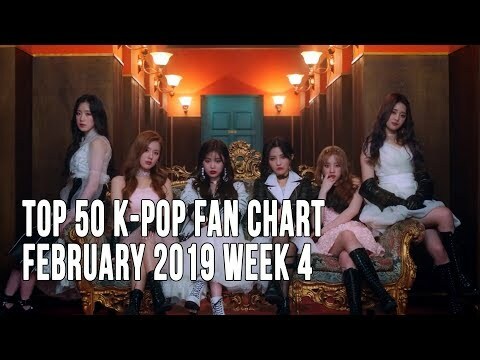 Here are the Top K-Pop Songs for January 2019 Week 5 (Week Ending February 2, 2019) as voted by the fans. 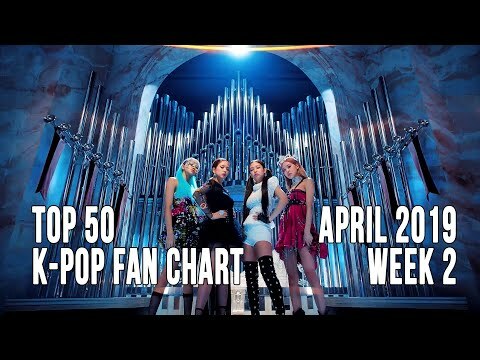 Each week you the viewers get a say in what ranks on this K-Pop Songs Chart. 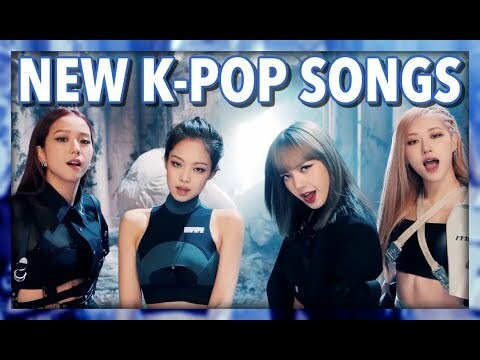 ▶ Please subscribe today so you don't miss any videos featuring the latest and best in K-pop: https://www.youtube.com/subscription_center?add_user=DJDigitalHI ▶ Voting Rules: 1. Your picks don't need to be in any of my videos; it's purely what you like this week 2. You can list oldies, album tracks, whatever...as long as it's K-Pop 3. List them in order of how you like them (either from 1 to 10, or 10 to 1, else I'll assume it's 1 to 10); You can list up to a Top 50 if you want. 4. List the artist and title (i.e. 1. BTS - IDOL) 5. You only can list the song once per listing you submit. 6. List your top picks for this week in the comments 7. Submit your vote on my website at http://www.djdigital.info/vote_kpop 8. Email your list to [email protected] 9. I reserve the right to exclude listings considered spam. 10. Songs with more than 12 weeks are retired from the chart. ▶ Song Index: Apink (에이핑크) - %% (Eung Eung) (응응) ASTRO (아스트로) - All Night (전화해) ASTRO (아스트로) - Role Play ATEEZ (에이티즈) - HALA HALA (Hearts Awakened, Live Alive) ATEEZ (에이티즈) - Say My Name Bang Yongguk (방용국) - Hikikomori (히키코모리) Bolbbalgan4 (볼빨간사춘기) - My Trouble (Why OST) Brand New Music - Sweater (스웨터) Cherry Bullet (체리블렛) - Q&A Chung Ha (청하) - Gotta Go (벌써 12시) CLC (씨엘씨) - No DAY6 (데이식스) -Days Goes By (행복했던 날들이었다) EXID (이엑스아이디) - I Love You (알러뷰) EXO (엑소) - Love Shot FANATICS-FLAVOR (파나틱스-플레이버) - Milkshake FAVORITE (페이버릿) - LOCA GFRIEND (여자친구) - Sunrise (해야) GREYISH (그레이시) - CANDY (캔디) gugudan (구구단) - Not That Type Heize (헤이즈) - First Sight (첫눈에) Highlight (하이라이트) - Loved (사랑했나봐) HUTA (LEE MINHYUK) (이민혁) - YA iKON - I'm OK JENNIE - SOLO KNK (크나큰) - Lonely Night LABOUM (라붐) - Turn It On (불을 켜) Lovelyz (러블리즈) - Lost N Found (찾아가세요) LUNA (루나) - Even So (운다고 M.FECT (엠펙트) - Designer (디자이너) MAMAMOO (마마무) - Wind Flower N.Flying (엔플라잉) - Rooftop (옥탑방) NATURE (네이처) - Dream About U (꿈꿨어) NATURE (네이처) - SOME (You'll Be Mine (썸) NCT DREAM (엔시티 드림) - Candle Light (사랑한단 뜻이야) NU'EST W (뉴이스트 W) - Help Me ONEUS (원어스) - Valkyrie (발키리) Onew (온유) - Blue PENOMECO Feat. Crush (페노메코, 크러쉬) - No. 5 Red Velvet (레드벨벳) - Really Bad Boy SEVENTEEN (세븐틴) - Getting Closer (숨이 차) SEVENTEEN (세븐틴) - Good To Me SEVENTEEN (세븐틴) - Home SHAUN (숀) - Bad Habits (습관) SoRi Feat. Jaehyun (소리) - I'm Ready Team X Feat. Fvrt (팀 엑스) - Modern THE BOYZ (더보이즈) - No Air TVXQ! (동방신기) - Truth UP10TION (업텐션) - Blue Rose VERIVERY (베리베리) - Ring Ring Ring (불러줘) WITZ (윗츠) - Love Love Love WJSN [Cosmic Girls] (우주소녀) - La La Love (라 라 러브) ▶ Goodbye Stage: 14U (원포유) - N.E.W.S (Compass) (나침반) Ben (벤) - 180 Degrees (180도) K/DA Feat. Madison Beer, (G)I-DLE & Jaira Burns - Pop/Stars TST (Top Secret) (일급비밀) - Paradise (낙원) Wanna One (워너원) - Spring Breeze (봄바람) WJSN (우주소녀) - Star (1억개의 별) Yubin (유빈) - Thank U Soooo Much ▶ Bubbling Under: Hyomin (효민) - U Um U Um (으음으음) IMFACT (임팩트) - Only U ▶ Follow Me! Website: http://www.djdigital.info YouTube: https://www.youtube.com/DJDigitalHI Facebook: https://www.facebook.com/DJDigitalKPopCharts Google+: https://plus.google.com/+DJDigitalHI Twitter: https://twitter.com/djdigitalhi Tumblr: https://djdigitalhi.tumblr.com VK: http://vk.com/djdigitalkpop Internet Radio: https://goo.gl/2Vt3mE ▶ Outro Song: Song: Elektronomia - Limitless [NCS Release] Music provided by NoCopyrightSounds. Video: https://youtu.be/cNcy3J4x62M All videos/audio clips property of the respective record label, distribution company, writers, publishers and content owners. Support the artists and buy their stuff at your favorite music shop/online store! Don't forget to give this video a thumbs up, comment and subscribe if you like these! I appreciate all feedback! 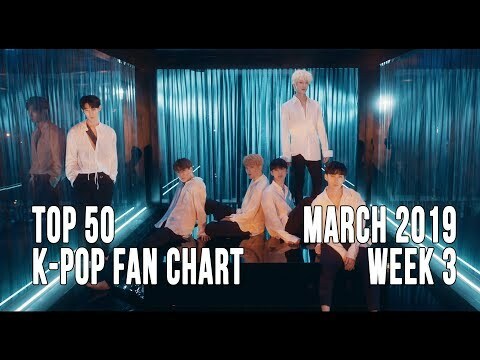 Here are the Top K-Pop Songs for March 2019 Week 4 (Week Ending March 30, 2019) as voted by the fans. Each week you the viewers get a say in what ranks on this K-Pop Songs Chart. ▶ Please subscribe today so you don't miss any videos featuring the latest and best in K-pop: https://www.youtube.com/subscription_center?add_user=DJDigitalHI ▶ Voting Rules: 1. Your picks don't need to be in any of my videos; it's purely what you like this week 2. You can list oldies, album tracks, whatever...as long as it's K-Pop 3. List them in order of how you like them (either from 1 to 10, or 10 to 1, else I'll assume it's 1 to 10); You can list up to a Top 50 if you want. 4. List the artist and title (i.e. 1. BTS - IDOL) 5. You only can list the song once per listing you submit. 6. List your top picks for this week in the comments 7. Submit your vote on my website at http://www.djdigital.info/vote_kpop 8. Email your list to [email protected] 9. I reserve the right to exclude listings considered spam. 10. Songs with more than 12 weeks are retired from the chart. ▶ Song Index: 100% (백퍼센트) - Still Loving You Apink (에이핑크) - %% (Eung Eung) (응응) ASTRO (아스트로) - All Night (전화해) ATEEZ (에이티즈) - Say My Name Baek Yerin (백예린) - Maybe It's Not Our Fault (그건 아마 우리의 잘못은 아닐 거야) Cherry Bullet (체리블렛) - Q&A CLC (씨엘씨) - No DIA (다이아) - WOOWA (우와) Jason Derulo, Lay & NCT 127 - Let's Shut Up & Dance Dreamcatcher (드림캐쳐) - PIRI (피리) EVERGLOW (에버글로우) - Bon Bon Chocolat (봉봉쇼콜라) FAVORITE (페이버릿) - LOCA (G)I-DLE ((여자)아이들) - Senorita GFRIEND (여자친구) - Sunrise (해야) GWSN (공원소녀) - Pinky Star (RUN) Heize (헤이즈) - She's Fine Hwa Sa (화사) - TWIT (멍청이) ITZY (있지) - DALLA DALLA (달라달라) JBJ95 - Awake Jeong Sewoon Feat. Penomeco (정세운) - Feeling JUS2 (저스투) - Focus On Me KARD (카드) - Bomb Bomb (밤밤) Key Feat. Soyeon (키, 소연) - I Wanna Be LOONA (이달의 소녀) - Butterfly M.FECT (엠펙트) - Designer (디자이너) MAMAMOO (마마무) - gogobebe (고고베베) MOMOLAND (모모랜드) - I'm So Hot MONSTA X (몬스타엑스) - Alligator NATURE (네이처) - Dream About U (꿈꿨어) NeonPunch (네온펀치) - Tic Toc ONEUS (원어스) - Valkyrie (발키리) ONF (온앤오프) - We Must Love (사랑하게 될 거야) Park Bom Feat. Sandara Park (박봄, 산다라박) - Spring (봄) PENTAGON (펜타곤) - Sha La La (신토불이) S.I.S (에스아이에스) - Always Be Your Girl (너의 소녀가 되어줄게) SEVENTEEN (세븐틴) - Home SF9 (에스에프나인) - Enough (예뻐지지 마) SHAUN (숀) - Bad Habits (습관) Stray Kids (스트레이 키즈) - MIROH SUNMI (선미) - Noir (누아르) Taemin (태민) - Want Taeyeon (태연) - Four Seasons (사계) TREI (트레이) - Gravity (멀어져) TST (일급비밀) - Wake Up TXT [Tomorrow X Together] (투모로우바이투게더) - Crown (어느날 머리에서 뿔이 자랐다) Tiffany Young - Lips on Lips VAV (브이에이브이) - Thrilla Killa Wanna.B (워너비) - Leggo WJSN [Cosmic Girls] (우주소녀) - La La Love (라 라 러브) Z-GIRLS - What You Waiting For ▶ Goodbye Stage: Chung Ha (청하) - Gotta Go (벌써 12시) EPIK HIGH Feat. Crush (에픽하이, 크러쉬) - Lovedrunk (술이 달다) Key Feat. Hanhae (키, 한해) - Cold N.Flying (엔플라잉) - Rooftop (옥탑방) VANNER (배너) - Better Do Better (배로 두 배로) VERIVERY (베리베리) - Ring Ring Ring (불러줘) WOOSEOK X KUANLIN (우석 X 관린) - I'm A Star (별짓) Yuri & The Singing Girls (유리, 노래하는 말괄량이) - This Night (Guitar Version) (이 밤) Z-BOYS - No Limit ▶ Bubbling Under: Park Jihoon (박지훈) - L.O.V.E PRODUCE X 101 - X1-MA (_지마) OVAN X SHAUN (오반 X 숀) - She Is ▶ Follow Me! Website: http://www.djdigital.info YouTube: https://www.youtube.com/DJDigitalHI Facebook: https://www.facebook.com/DJDigitalKPopCharts Google+: https://plus.google.com/+DJDigitalHI Twitter: https://twitter.com/djdigitalhi Tumblr: https://djdigitalhi.tumblr.com VK: http://vk.com/djdigitalkpop Internet Radio: https://goo.gl/2Vt3mE ▶ Outro Song: Song: Elektronomia - Limitless [NCS Release] Music provided by NoCopyrightSounds. Video: https://youtu.be/cNcy3J4x62M All videos/audio clips property of the respective record label, distribution company, writers, publishers and content owners. Support the artists and buy their stuff at your favorite music shop/online store! Don't forget to give this video a thumbs up, comment and subscribe if you like these! I appreciate all feedback! ◘ VOTE ◘ VOTE ◘ VOTE ◘ Intro Song: • Road Boyz - Show Me Bang Bang ► Vote at least 5 songs ► Points are count: 1º = 10 | 2º = 9 | 3º = 8 | 4º = 7 | 5º = 6 | 6º = 5 | 7º = 4 | 8º = 3 | 9º = 2 | 10º=1 NOTE: Vote how many as you want! 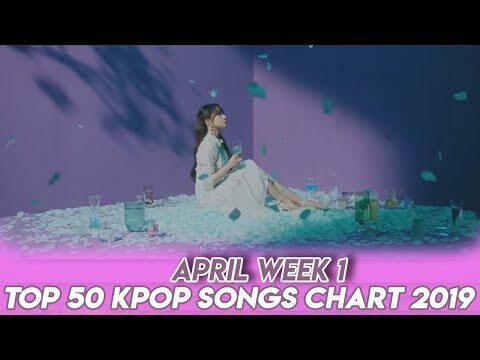 ►Max 10 weeks each song will be on chart Songs In This Chart: APINK - %% (Eung Eung) ASTRO – All Night ATEEZ – Say My Name B1A4 – A Day of Love (NEW) B1A4, OH MY GIRL, ONF – Timing Cherry Bullet – Q&A Cherry On Top – May Be (NEW) Chung Ha – Gotta Go CLC – No (NEW) Cosmic Girls (WJSN) – La La Love DAY6 – Days Gone By DreamCatcher – July 7th EXO – Love Shot Eyedi – Caffeine Fanatics-Flavor – Milkshake Favorite – Loca GFRIEND – Sunrise GOT7 – Miracle G-reyish – Candy (NEW) Heize – First Sight HUTA – YA Hyomin – U Um U Um iKON – I’m OK IMFACT – Only U (NEW) KNK – Lonely Night Laboum – Turn It On Lovelyz – Lost N Found LU:KUS – Faker Luna – Even So Mamamoo – Wind Flower MFECT – Designer (NEW) Mino – Fiancé MustB – I Want You (NEW) N.Flying – Rooftop Nature – Dream About U NCT 127 – Simon Says (Last Week) NeonPunch – TicToc (NEW) NU’EST W – Help Me ONEUS – Valkyrie Red Velvet – RBB (Really Bad Boy) Rothy – Blossom Flower (NEW) Seventeen – Getting Closer Seventeen – Home Shaun – Bad Habits SoRi – I’m Ready The Boyz – No Air UP10TION – Blue Rose Winner – Millions Yesung x Chung Ha – Watcha Doin’ Yubin – Thank You Soooo Much #CLC #IMFACT #NeonPunch For entertainment purposes only. All copyrights reserved to their respective owners. Support your favorite artist watching their MVs and buying their music. ◘ VOTE ◘ VOTE ◘ VOTE ◘ Intro Song: • BTS - Mic Drop (Steve Aoki Remix) ► Vote at least 3 songs ► Points are count: 1º = 10 | 2º = 9 | 3º = 8 | 4º = 7 | 5º = 6 | 6º = 5 | 7º = 4 | 8º = 3 | 9º = 2 | 10º=1 NOTE: Vote how many as you want! 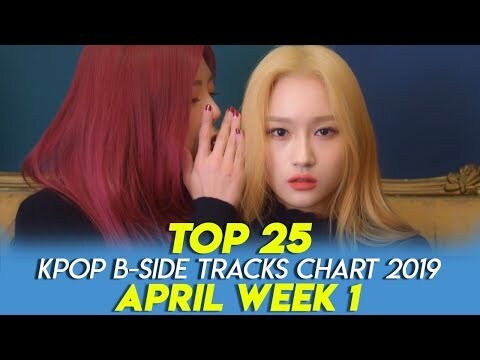 ►Max 10 weeks each song will be on chart Songs In This Chart: (G)I-DLE – Senorita 9MUSES – Remember ATEEZ – Hala Hala Cherry Bullet – Q&A (Last Week) Cherry On Top – May Be CLC – No DIA – WOOWA DreamCatcher – PIRI DreamNote – Hakuna Matata Everglow – Bon Bon Chocolat GWSN – Pinky Star (RUN) Heize – She’s Fine (NEW) HUTA (of BTOB) – YA (Last Week) HwaSa – Twit Hyomin – Allure Hyomin – U Um U Um (Last Week) IMFACT – Only U ITZY – Dalla Dalla Jang Dong Woo – Party Girl Jisook – Big Dipper JUS2 – Focus On Me KARD – Bomb Bomb (NEW) Key – I Wanna Be LOOΠΔ – Butterfly Mamamoo – gogobebe Minseo – 2cm (feat. Paul Kim) MiSO – ON N ON Momoland – I’m So Hot MONSTA X – Alligator NeonPunch – Tic Toc ONF – We Must Love Park Bom – Spring Park Yu Chun – Slow Dance Pentagon – Sha La La (NEW) R.Tee x ANDA – What You Waiting For Rothy – Blossom Flower Saturday – WiFi Seventeen – Home SF9 – Enough ShaFLA – You’ve Changed (NEW) Stray Kids – Miroh (NEW) Sunmi – Noir Taemin – Want The Pink Lady – God Girl The T-Bird – Rockstar (NEW) TXT – Crown VANNER – Better Do Better VAV – Thrilla Killa WANNA.B – LEGGO Yukika – Neon #KARD #StrayKids #Pentagon For entertainment purposes only. All copyrights reserved to their respective owners. Support your favorite artist watching their MVs and buying their music. 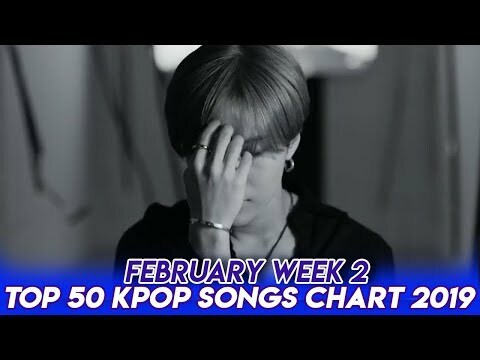 Here are the Top K-Pop Songs for February 2018 Week 1 (Week Ending February 10, 2018 as voted by the fans. Each week you the viewers get a say in what ranks on this K-Pop Songs Chart. New year means new rules for the chart... First, the chart has been expanded to a top 50 ranking instead of top 40. Also, this year songs that have over 12 weeks are now retired from the chart. ▶ Please subscribe today so you don't miss any videos featuring the latest and best in K-pop: https://www.youtube.com/subscription_center?add_user=DJDigitalHI ▶ Voting Rules (New for 2018): 1. Your picks don't need to be in any of my videos; it's purely what you like this week 2. You can list oldies, album tracks, whatever...as long as it's K-Pop 3. List them in order of how you like them (either from 1 to 10, or 10 to 1, else I'll assume it's 1 to 10); You can list up to a Top 50 if you want. 4. List the artist and title (i.e. 1. Twice - Heart Shaker) 5. You only can list the song once per listing you submit. 6. List your top picks for this week in the comments 7. Submit your vote on my website at http://www.djdigital.info/vote_kpop 8. Email your list to [email protected] 9. I reserve the right to exclude listings considered spam. 10. Songs with more than 12 weeks are retired from the chart. ▶ Song Index: 10:45 (10시 45분) - Cherry On Top Amber X Luna (엠버 X 루나) - Lower B.A.P - Hands Up Bizzy Feat. BiBi (비지) - Ooh Ahh (우아) Block B (블락비) - Don't Leave (떠나지마요) BoA (보아) - NEGA DOLA (내가 돌아) Bolbbalgan4 (볼빨간사춘기) - First Love (#첫사랑) BTS (방탄소년단) - Mic Drop Chung Ha (청하) - Roller Coaster DAVICHI (다비치) - Days Without You (너 없는 시간들) DAY6 (데이식스) - I Like You (좋아합니다) DΞΔN (딘) - Instagram Dreamcatcher (드림캐쳐) - Full Moon Eric Nam (에릭남) - Hold Me (놓지마) EXO (엑소) - Universe gugudan (구구단) - The Boots Handsome Boys (훈남쓰) - All Day Holland (홀랜드) - Neverland (네버랜드) iKON - Love Scenario (사랑을 했다) INFINITE (인피니트) - Tell Me Jeong Sewoon (정세운) - Baby It’s U JBJ - My Flower (꽃이야) Jonghyun (종현) - Before Our Spring (우린 봄이 오기 전에) Jonghyun (종현) - Shinin' (빛이 나) K.A.R.D (카드) - You In Me Kriesha Chu (크리샤 츄) - Like Paradise K.B.S (Korea Boy Star) - Question LOOΠΔ/Chuu (이달의 소녀/츄) - Heart Attack LOOΠΔ/Go Won (이달의 소녀/고원) - One & Only LOOΠΔ/Yves (이달의 소녀/이브) - New MAMAMOO (마마무) - Paint Me (칠해줘) MAP6 (맵식스) - Love Is Gone MOMOLAND (모모랜드) - BBoom BBoom (뿜뿜) MXM - Diamond Girl (다이아몬드걸) N.Flying (엔플라잉) – Hot Potato (뜨거운감자) NCT U - Timeless (텐데...) OH MY GIRL (오마이걸) - Secret Garden (비밀정원) PENOMECO (페노메코) - L.I.E RAINZ (레인즈) - Turn It Up Red Velvet (레드벨벳) - Bad Boy SEVENTEEN (세븐틴) - Thanks (고맙다) Stray Kids (스트레이 키즈) - Young Wings (어린 날개) SUNMI (선미) - Heroine (주인공) SUZY Feat. DPR Live (수지) - Holiday Taemin (태민) - Day and Night (낮과 밤) TARGET (타겟) - Awake THE BOYZ (더보이즈) - Boy (소년) Too Charming (투챠밍) - Sweet (달콤해) TRCNG - Wolf Baby TWICE (트와이스) - Heart Shaker (하트쉐이커) VAV (브이에이브이) - Spotlight (光) Wel.C (웰씨) - the Stain (얼룩) Yuri X Raiden (유리) - Always Find You ▶ Goodbye Stage: 1NB (원앤비) - Where U At (쉽지않아) Bumkey, Chancellor, Sanchez, Taewon, Yang Da-Il & MXM (범키, 챈슬러, 산체스, 태완, 양다일, MXM) - Baby Can I (너가 필요한 것 같아) Crush (크러쉬) - Be By My Side (내 편이 돼줘) FR:EDEN (프리든) - Twilight fromis_9 (프로미스나인) - To Heart GOT7 (갓세븐) - Teenager NU'EST W (뉴이스트 W) - Let Me Out (A Korean Odyssey Hwayugi (화유기) OST) PENTAGON (펜타곤) - Runaway Red Velvet (레드벨벳) - Peek-A-Boo (피카부) TWICE (트와이스) - Merry & Happy ▶ Bubbling Under: Golden Child (골든차일드) - It's U (너라고) ▶ Follow Me! Website: http://www.djdigital.info YouTube: https://www.youtube.com/DJDigitalHI Facebook: https://www.facebook.com/DJDigitalKPopCharts Google+: https://plus.google.com/+DJDigitalHI Twitter: https://twitter.com/djdigitalhi Tumblr: https://djdigitalhi.tumblr.com VK: http://vk.com/djdigitalkpop Internet Radio: https://goo.gl/2Vt3mE ▶ Outro Song: Song: Elektronomia - Limitless [NCS Release] Music provided by NoCopyrightSounds. Video: https://youtu.be/cNcy3J4x62M All videos/audio clips property of the respective record label, distribution company, writers, publishers and content owners. Support the artists and buy their stuff at your favorite music shop/online store! Don't forget to give this video a thumbs up, comment and subscribe if you like these! I appreciate all feedback! 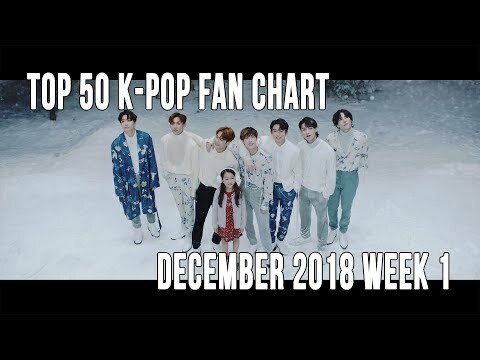 Here are the Top K-Pop Songs for December 2018 Week 1 (Week Ending December 8, 2018) as voted by the fans. Each week you the viewers get a say in what ranks on this K-Pop Songs Chart. New year means new rules for the chart... First, the chart has been expanded to a top 50 ranking instead of top 40. Also, this year songs that have over 12 weeks are now retired from the chart. ▶ Please subscribe today so you don't miss any videos featuring the latest and best in K-pop: https://www.youtube.com/subscription_center?add_user=DJDigitalHI ▶ Voting Rules (New for 2018): 1. Your picks don't need to be in any of my videos; it's purely what you like this week 2. You can list oldies, album tracks, whatever...as long as it's K-Pop 3. List them in order of how you like them (either from 1 to 10, or 10 to 1, else I'll assume it's 1 to 10); You can list up to a Top 50 if you want. 4. List the artist and title (i.e. 1. BTS - IDOL) 5. You only can list the song once per listing you submit. 6. List your top picks for this week in the comments 7. Submit your vote on my website at http://www.djdigital.info/vote_kpop 8. Email your list to [email protected] 9. I reserve the right to exclude listings considered spam. 10. Songs with more than 12 weeks are retired from the chart. ▶ Song Index: 14U (원포유) - N.E.W.S (Compass) (나침반) APRIL (에이프릴) - Oh! My Mistake (예쁜 게 죄) ATEEZ (에이티즈) - Treasure BLACK6IX (블랙식스) - Swamp of Despair (절망의 늪) BoA (보아) - Woman BTOB (비투비) - Beautiful Pain (아름답고도 아프구나) Cosmic Girls [WJSN] (우주소녀) - Save Me, Save You (부탁해) Dua Lipa X BLACKPINK - Kiss and Make Up Eric Nam (에릭남) - Miss You EXID (이엑스아이디) - I Love You (알러뷰) EXO (엑소) - Tempo fromis_9 (프로미스나인) - Love Bomb Golden Child (골든차일드) - Genie GOT7 (갓세븐) - Lullaby GOT7 (갓세븐) - Miracle gugudan (구구단) - Not That Type Highlight (하이라이트) - Loved (사랑했나봐) HOTSHOT (핫샷) - I Hate You (니가 미워) IU (아이유) - BBIBBI (삐삐) IZ*ONE (아이즈원) - La Vie en Rose (라비앙로즈) JBJ95 - Stay JENNIE - SOLO K/DA Feat. Madison Beer, (G)I-DLE & Jaira Burns - Pop/Stars Key Feat. Crush (키, 크러쉬) - One Of Those Nights (센 척 안 해) KEY Feat. SoYou (키, 소유) - Forever Yours LABOUM (라붐) - Turn It On (불을 켜) Lovelyz (러블리즈) - Lost N Found (찾아가세요) MAMAMOO (마마무) - Wind Flower MONSTA X (몬스타엑스) - Shoot Out NATURE (네이처) - SOME (You'll Be Mine (썸) NCT 127 (엔시티 127) - Simon Says NCT 127 ( 엔시티 127) - Regular NCT DREAM (엔시티 드림) - We Go Up NewKidd (뉴키드) - Left Hand (왼손) NU'EST W (뉴이스트 W) - Help Me Red Velvet (레드벨벳) - Really Bad Boy SE7EN - Scared Seulgi X Sin-B X Chung Ha X Soyeon (슬기 X 신비 X청하 X 소연) - Wow Thing S.I.S - Say Yes (응) SNUPER (스누퍼) - You In My Eyes (내 눈에는 니가) Stray Kids (스트레이 키즈) - Get Cool Stray Kids (스트레이 키즈) - I Am YOU SUPER JUNIOR X REIK (슈퍼주니어) - One More Time (Otra Vez) THE BOYZ (더보이즈) - No Air TST (Top Secret) (일급비밀) - Paradise (낙원) TWICE (트와이스) - Yes Or Yes VAV (브이에이브이) - Senorita Wanna One (워너원) - Spring Breeze (봄바람) Weki Meki (위키미키) - Crush Yubin (유빈) - Thank U Soooo Much ▶ Goodbye Stage: DAY6 (데이식스) - Chocolate (Want More 19 (하지 말라면 더 하고 19) OST) iKON - Goodbye Road (이별길) JBJ95 - Home Lee Hong Gi Feat. Jung Ilhoon (이홍기, 정일훈) - Cookies MINO (송민호) - Fiance (아낙네) MXM - Knock Knock OH MY GIRL (오마이걸) - Remember Me (불꽃놀이) PENTAGON (펜타곤) - Naughty Boy (청개구리) ▶ Bubbling Under: THE MAN BLK (더 맨 블랙) - Free Fall ▶ Follow Me! Website: http://www.djdigital.info YouTube: https://www.youtube.com/DJDigitalHI Facebook: https://www.facebook.com/DJDigitalKPopCharts Google+: https://plus.google.com/+DJDigitalHI Twitter: https://twitter.com/djdigitalhi Tumblr: https://djdigitalhi.tumblr.com VK: http://vk.com/djdigitalkpop Internet Radio: https://goo.gl/2Vt3mE ▶ Outro Song: Song: Elektronomia - Limitless [NCS Release] Music provided by NoCopyrightSounds. Video: https://youtu.be/cNcy3J4x62M All videos/audio clips property of the respective record label, distribution company, writers, publishers and content owners. Support the artists and buy their stuff at your favorite music shop/online store! Don't forget to give this video a thumbs up, comment and subscribe if you like these! I appreciate all feedback! 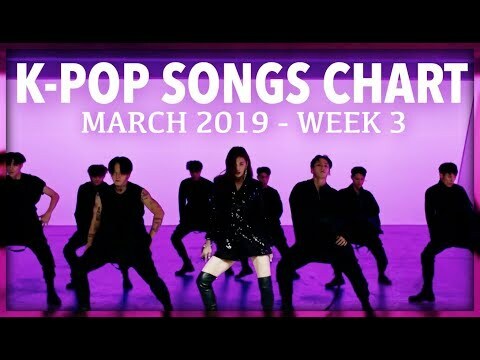 Here are the Top K-Pop Songs for March 2019 Week 3 (Week Ending March 23, 2019) as voted by the fans. Each week you the viewers get a say in what ranks on this K-Pop Songs Chart. ▶ Please subscribe today so you don't miss any videos featuring the latest and best in K-pop: https://www.youtube.com/subscription_center?add_user=DJDigitalHI ▶ Voting Rules: 1. Your picks don't need to be in any of my videos; it's purely what you like this week 2. You can list oldies, album tracks, whatever...as long as it's K-Pop 3. List them in order of how you like them (either from 1 to 10, or 10 to 1, else I'll assume it's 1 to 10); You can list up to a Top 50 if you want. 4. List the artist and title (i.e. 1. BTS - IDOL) 5. You only can list the song once per listing you submit. 6. List your top picks for this week in the comments 7. Submit your vote on my website at http://www.djdigital.info/vote_kpop 8. Email your list to [email protected] 9. I reserve the right to exclude listings considered spam. 10. Songs with more than 12 weeks are retired from the chart. ▶ Song Index: 100% (백퍼센트) - Still Loving You Apink (에이핑크) - %% (Eung Eung) (응응) ASTRO (아스트로) - All Night (전화해) Cherry Bullet (체리블렛) - Q&A Chung Ha (청하) - Gotta Go (벌써 12시) CLC (씨엘씨) - No DIA (다이아) - WOOWA (우와) Jason Derulo, Lay & NCT 127 - Let's Shut Up & Dance Dreamcatcher (드림캐쳐) - PIRI (피리) EPIK HIGH Feat. Crush (에픽하이, 크러쉬) - Lovedrunk (술이 달다) FAVORITE (페이버릿) - LOCA (G)I-DLE ((여자)아이들) - Senorita GFRIEND (여자친구) - Sunrise (해야) GWSN (공원소녀) - Pinky Star (RUN) Heize (헤이즈) - She's Fine Hwa Sa (화사) - TWIT (멍청이) ITZY (있지) - DALLA DALLA (달라달라) Jeong Sewoon Feat. Penomeco (정세운) - Feeling JUS2 (저스투) - Focus On Me Key Feat. Hanhae (키, 한해) - Cold Key Feat. Soyeon (키, 소연) - I Wanna Be LOONA (이달의 소녀) - Butterfly M.FECT (엠펙트) - Designer (디자이너) MAMAMOO (마마무) - gogobebe (고고베베) MOMOLAND (모모랜드) - I'm So Hot MONSTA X (몬스타엑스) - Alligator N.Flying (엔플라잉) - Rooftop (옥탑방) NATURE (네이처) - Dream About U (꿈꿨어) NeonPunch (네온펀치) - Tic Toc ONEUS (원어스) - Valkyrie (발키리) ONF (온앤오프) - We Must Love (사랑하게 될 거야) Park Bom Feat. Sandara Park (박봄, 산다라박) - Spring (봄) PENOMECO Feat. Crush (페노메코, 크러쉬) - No. 5 S.I.S (에스아이에스) - Always Be Your Girl (너의 소녀가 되어줄게) SEVENTEEN (세븐틴) - Home SF9 (에스에프나인) - Enough (예뻐지지 마) SHAUN (숀) - Bad Habits (습관) SUNMI (선미) - Noir (누아르) Taemin (태민) - Want TREI (트레이) - Gravity (멀어져) TXT [Tomorrow X Together] (투모로우바이투게더) - Crown (어느날 머리에서 뿔이 자랐다) VERIVERY (베리베리) - Ring Ring Ring (불러줘) Tiffany Young - Lips on Lips VANNER (배너) - Better Do Better (배로 두 배로) VAV (브이에이브이) - Thrilla Killa Wanna.B (워너비) - Leggo WJSN [Cosmic Girls] (우주소녀) - La La Love (라 라 러브) WOOSEOK X KUANLIN (우석 X 관린) - I'm A Star (별짓) Yuri & The Singing Girls (유리, 노래하는 말괄량이) - This Night (Guitar Version) (이 밤) Z-BOYS - No Limit Z-GIRLS - What You Waiting For ▶ Goodbye Stage: 1THE9 (원더나인) - It's Like Magic (마법 같아) ATEEZ (에이티즈) - Say My Name GREYISH (그레이시) - CANDY (캔디) IMFACT (임팩트) - Only U Onestar (임한별) - A Tearful Farewell (사랑 이딴 거) Seven O'Clock (세븐어클락) - Get Away (별을 쏘다) TST (일급비밀) - Wake Up Woody (우디) - Fire Up (이 노래가 클럽에서 나온다면) YUKIKA (유키카) - NEON (네온) ▶ Bubbling Under: Baek Yerin (백예린) - Maybe It's Not Our Fault (그건 아마 우리의 잘못은 아닐 거야) EVERGLOW (에버글로우) - Bon Bon Chocolat (봉봉쇼콜라) ▶ Follow Me! Website: http://www.djdigital.info YouTube: https://www.youtube.com/DJDigitalHI Facebook: https://www.facebook.com/DJDigitalKPopCharts Google+: https://plus.google.com/+DJDigitalHI Twitter: https://twitter.com/djdigitalhi Tumblr: https://djdigitalhi.tumblr.com VK: http://vk.com/djdigitalkpop Internet Radio: https://goo.gl/2Vt3mE ▶ Outro Song: Song: Elektronomia - Limitless [NCS Release] Music provided by NoCopyrightSounds. Video: https://youtu.be/cNcy3J4x62M All videos/audio clips property of the respective record label, distribution company, writers, publishers and content owners. Support the artists and buy their stuff at your favorite music shop/online store! Don't forget to give this video a thumbs up, comment and subscribe if you like these! I appreciate all feedback! 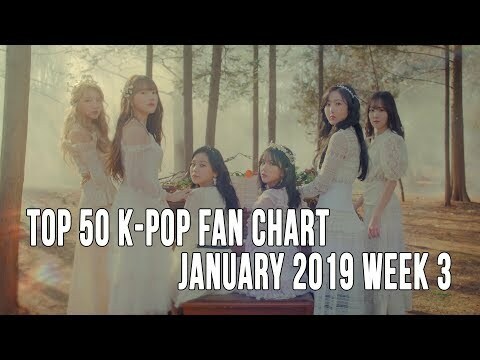 Here are the Top K-Pop Songs for January 2019 Week 4 (Week Ending January 26, 2019) as voted by the fans. Each week you the viewers get a say in what ranks on this K-Pop Songs Chart. 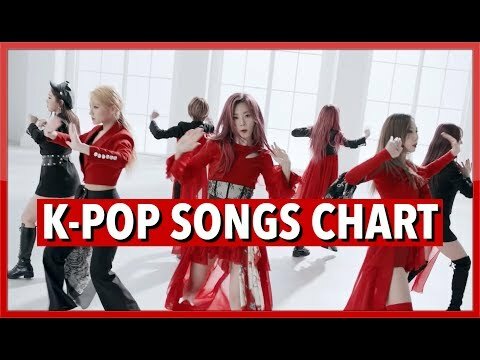 ▶ Please subscribe today so you don't miss any videos featuring the latest and best in K-pop: https://www.youtube.com/subscription_center?add_user=DJDigitalHI ▶ Voting Rules: 1. Your picks don't need to be in any of my videos; it's purely what you like this week 2. You can list oldies, album tracks, whatever...as long as it's K-Pop 3. List them in order of how you like them (either from 1 to 10, or 10 to 1, else I'll assume it's 1 to 10); You can list up to a Top 50 if you want. 4. List the artist and title (i.e. 1. BTS - IDOL) 5. You only can list the song once per listing you submit. 6. List your top picks for this week in the comments 7. Submit your vote on my website at http://www.djdigital.info/vote_kpop 8. Email your list to [email protected] 9. I reserve the right to exclude listings considered spam. 10. Songs with more than 12 weeks are retired from the chart. ▶ Song Index: 14U (원포유) - N.E.W.S (Compass) (나침반) Apink (에이핑크) - %% (Eung Eung) (응응) ASTRO (아스트로) - All Night (전화해) ASTRO (아스트로) - Role Play ATEEZ (에이티즈) - Say My Name Bang Yongguk (방용국) - Hikikomori (히키코모리) Ben (벤) - 180 Degrees (180도) Brand New Music - Sweater (스웨터) Chung Ha (청하) - Gotta Go (벌써 12시) DAY6 (데이식스) -Days Goes By (행복했던 날들이었다) EXID (이엑스아이디) - I Love You (알러뷰) EXO (엑소) - Love Shot FAVORITE (페이버릿) - LOCA GFRIEND (여자친구) - Sunrise (해야) GREYISH (그레이시) - CANDY (캔디) gugudan (구구단) - Not That Type Heize (헤이즈) - First Sight (첫눈에) Highlight (하이라이트) - Loved (사랑했나봐) HUTA (LEE MINHYUK) (이민혁) - YA iKON - I'm OK JENNIE - SOLO K/DA Feat. Madison Beer, (G)I-DLE & Jaira Burns - Pop/Stars KNK (크나큰) - Lonely Night LABOUM (라붐) - Turn It On (불을 켜) Lovelyz (러블리즈) - Lost N Found (찾아가세요) M.FECT (엠펙트) - Designer (디자이너) MAMAMOO (마마무) - Wind Flower N.Flying (엔플라잉) - Rooftop (옥탑방) NATURE (네이처) - Dream About U (꿈꿨어) NATURE (네이처) - SOME (You'll Be Mine (썸) NCT DREAM (엔시티 드림) - Candle Light (사랑한단 뜻이야) NU'EST W (뉴이스트 W) - Help Me ONEUS (원어스) - Valkyrie (발키리) Onew (온유) - Blue PENOMECO Feat. Crush (페노메코, 크러쉬) - No. 5 Red Velvet (레드벨벳) - Really Bad Boy SEVENTEEN (세븐틴) - Getting Closer (숨이 차) SEVENTEEN (세븐틴) - Good To Me SEVENTEEN (세븐틴) - Home SHAUN (숀) - Bad Habits (습관) Team X Feat. Fvrt (팀 엑스) - Modern THE BOYZ (더보이즈) - No Air TST (Top Secret) (일급비밀) - Paradise (낙원) TVXQ! (동방신기) - Truth UP10TION (업텐션) - Blue Rose VERIVERY (베리베리) - Ring Ring Ring (불러줘) Wanna One (워너원) - Spring Breeze (봄바람) WJSN [Cosmic Girls] (우주소녀) - La La Love (라 라 러브) WJSN (우주소녀) - Star (1억개의 별) Yubin (유빈) - Thank U Soooo Much ▶ Goodbye Stage: EXO (엑소) - Tempo H.U.B - Finale (피날레) IZ*ONE (아이즈원) - La Vie en Rose (라비앙로즈) LUNA (루나) - Even So (운다고) Nam Woo Hyun (남우현) - A Song For You (지금 이 노래) WINNER - Millions ▶ Bubbling Under: Cherry Bullet (체리블렛) - Q&A ▶ Follow Me! Website: http://www.djdigital.info YouTube: https://www.youtube.com/DJDigitalHI Facebook: https://www.facebook.com/DJDigitalKPopCharts Google+: https://plus.google.com/+DJDigitalHI Twitter: https://twitter.com/djdigitalhi Tumblr: https://djdigitalhi.tumblr.com VK: http://vk.com/djdigitalkpop Internet Radio: https://goo.gl/2Vt3mE ▶ Outro Song: Song: Elektronomia - Limitless [NCS Release] Music provided by NoCopyrightSounds. Video: https://youtu.be/cNcy3J4x62M All videos/audio clips property of the respective record label, distribution company, writers, publishers and content owners. Support the artists and buy their stuff at your favorite music shop/online store! Don't forget to give this video a thumbs up, comment and subscribe if you like these! I appreciate all feedback! 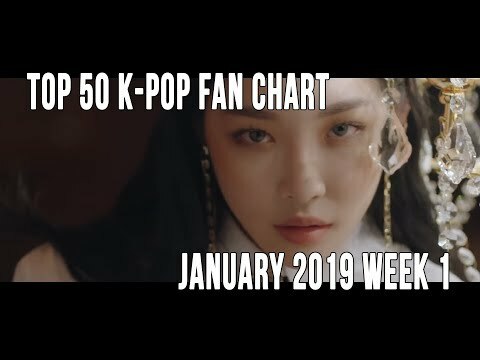 Here are the Top K-Pop Songs for January 2019 Week 3 (Week Ending January 19, 2019) as voted by the fans. Each week you the viewers get a say in what ranks on this K-Pop Songs Chart. ▶ Please subscribe today so you don't miss any videos featuring the latest and best in K-pop: https://www.youtube.com/subscription_center?add_user=DJDigitalHI ▶ Voting Rules: 1. Your picks don't need to be in any of my videos; it's purely what you like this week 2. You can list oldies, album tracks, whatever...as long as it's K-Pop 3. List them in order of how you like them (either from 1 to 10, or 10 to 1, else I'll assume it's 1 to 10); You can list up to a Top 50 if you want. 4. List the artist and title (i.e. 1. BTS - IDOL) 5. You only can list the song once per listing you submit. 6. List your top picks for this week in the comments 7. Submit your vote on my website at http://www.djdigital.info/vote_kpop 8. Email your list to [email protected] 9. I reserve the right to exclude listings considered spam. 10. Songs with more than 12 weeks are retired from the chart. ▶ Song Index: 14U (원포유) - N.E.W.S (Compass) (나침반) Apink (에이핑크) - %% (Eung Eung) (응응) ASTRO (아스트로) - All Night (전화해) ASTRO (아스트로) - Role Play ATEEZ (에이티즈) - Say My Name Ben (벤) - 180 Degrees (180도) Brand New Music - Sweater (스웨터) Chung Ha (청하) - Gotta Go (벌써 12시) DAY6 (데이식스) -Days Goes By (행복했던 날들이었다) EXID (이엑스아이디) - I Love You (알러뷰) EXO (엑소) - Love Shot EXO (엑소) - Tempo FAVORITE (페이버릿) - LOCA GFRIEND (여자친구) - Sunrise (해야) GREYISH (그레이시) - CANDY (캔디) gugudan (구구단) - Not That Type Heize (헤이즈) - First Sight (첫눈에) Highlight (하이라이트) - Loved (사랑했나봐) H.U.B - Finale (피날레) HUTA (LEE MINHYUK) (이민혁) - YA iKON - I'm OK IZ*ONE (아이즈원) - La Vie en Rose (라비앙로즈) JENNIE - SOLO K/DA Feat. Madison Beer, (G)I-DLE & Jaira Burns - Pop/Stars KNK (크나큰) - Lonely Night LABOUM (라붐) - Turn It On (불을 켜) Lovelyz (러블리즈) - Lost N Found (찾아가세요) LUNA (루나) - Even So (운다고) M.FECT (엠펙트) - Designer (디자이너) MAMAMOO (마마무) - Wind Flower N.Flying (엔플라잉) - Rooftop (옥탑방) Nam Woo Hyun (남우현) - A Song For You (지금 이 노래) NATURE (네이처) - Dream About U (꿈꿨어) NATURE (네이처) - SOME (You'll Be Mine (썸) NCT DREAM (엔시티 드림) - Candle Light (사랑한단 뜻이야) NU'EST W (뉴이스트 W) - Help Me ONEUS (원어스) - Valkyrie (발키리) Onew (온유) - Blue PENOMECO Feat. Crush (페노메코, 크러쉬) - No. 5 Red Velvet (레드벨벳) - Really Bad Boy SEVENTEEN (세븐틴) - Getting Closer (숨이 차) SHAUN (숀) - Bad Habits (습관) THE BOYZ (더보이즈) - No Air TST (Top Secret) (일급비밀) - Paradise (낙원) TVXQ! (동방신기) - Truth VERIVERY (베리베리) - Ring Ring Ring (불러줘) Wanna One (워너원) - Spring Breeze (봄바람) WINNER - Millions WJSN [Cosmic Girls] (우주소녀) - La La Love (라 라 러브) Yubin (유빈) - Thank U Soooo Much ▶ Goodbye Stage: BTOB (비투비) - Beautiful Pain (아름답고도 아프구나) Golden Child (골든차일드) - Genie GOT7 (갓세븐) - Miracle KEY Feat. SoYou (키, 소유) - Forever Yours MINO (송민호) - Fiance (아낙네) NCT 127 (엔시티 127) - Simon Says SPECTRUM (스펙트럼) - What Do I Do Stray Kids (스트레이 키즈) - Get Cool Stray Kids (스트레이 키즈) - I Am YOU UP10TION (업텐션) - Blue Rose VOISPER (보이스퍼) - Goodbye to Goodbye Yesung X Chungha (예성 X 청하) - Whatcha Doin'? (지금 어디야?) ▶ Bubbling Under: Team X Feat. Fvrt (팀 엑스) - Modern ▶ Follow Me! Website: http://www.djdigital.info YouTube: https://www.youtube.com/DJDigitalHI Facebook: https://www.facebook.com/DJDigitalKPopCharts Google+: https://plus.google.com/+DJDigitalHI Twitter: https://twitter.com/djdigitalhi Tumblr: https://djdigitalhi.tumblr.com VK: http://vk.com/djdigitalkpop Internet Radio: https://goo.gl/2Vt3mE ▶ Outro Song: Song: Elektronomia - Limitless [NCS Release] Music provided by NoCopyrightSounds. Video: https://youtu.be/cNcy3J4x62M All videos/audio clips property of the respective record label, distribution company, writers, publishers and content owners. Support the artists and buy their stuff at your favorite music shop/online store! Don't forget to give this video a thumbs up, comment and subscribe if you like these! I appreciate all feedback!